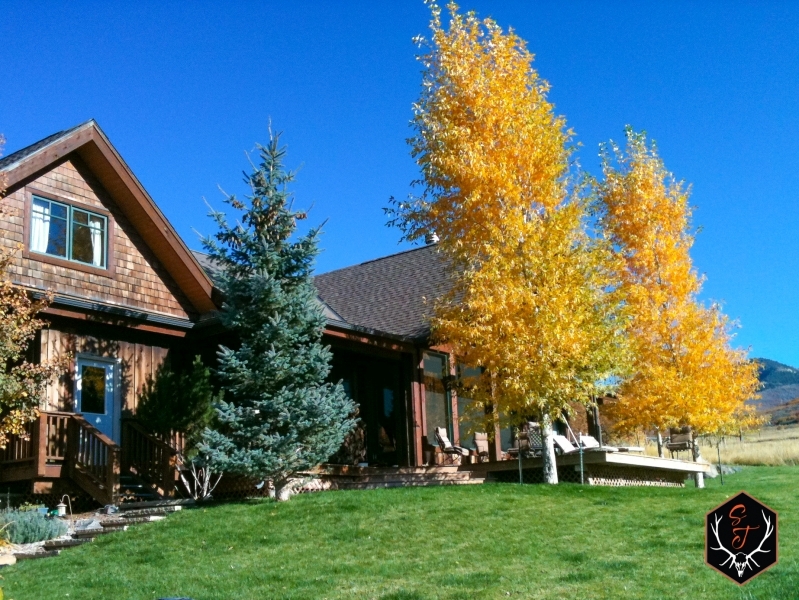 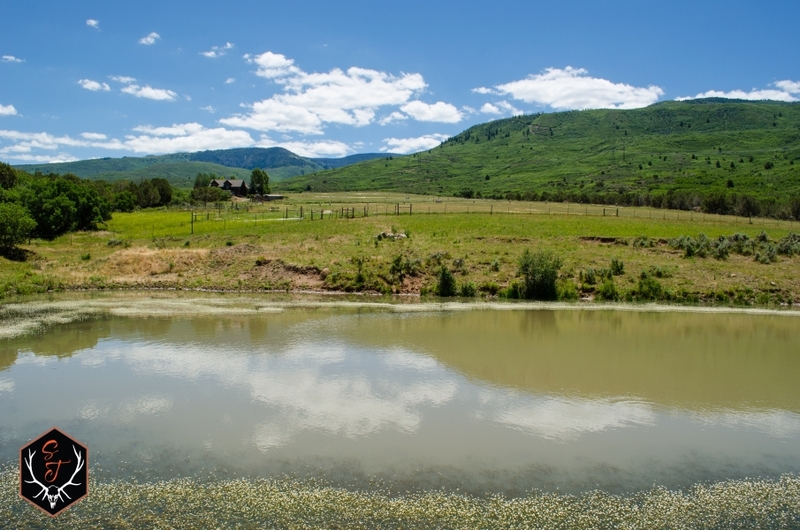 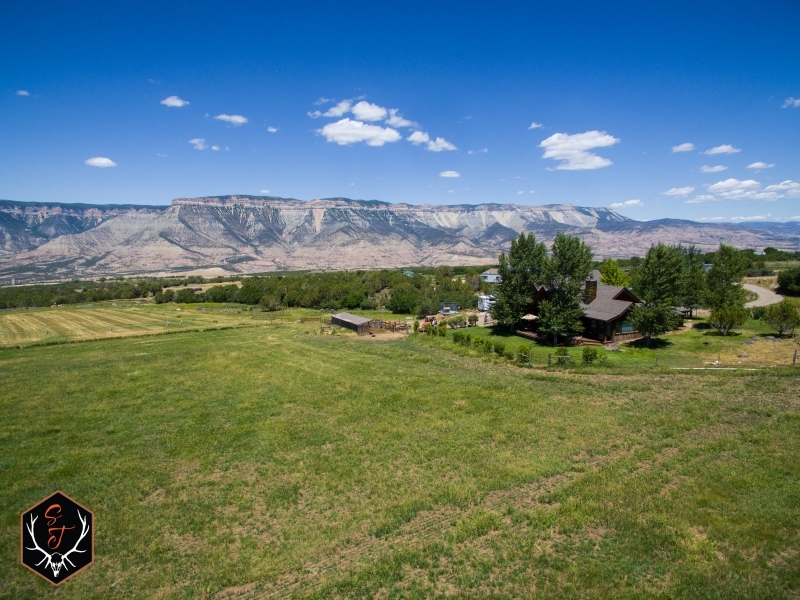 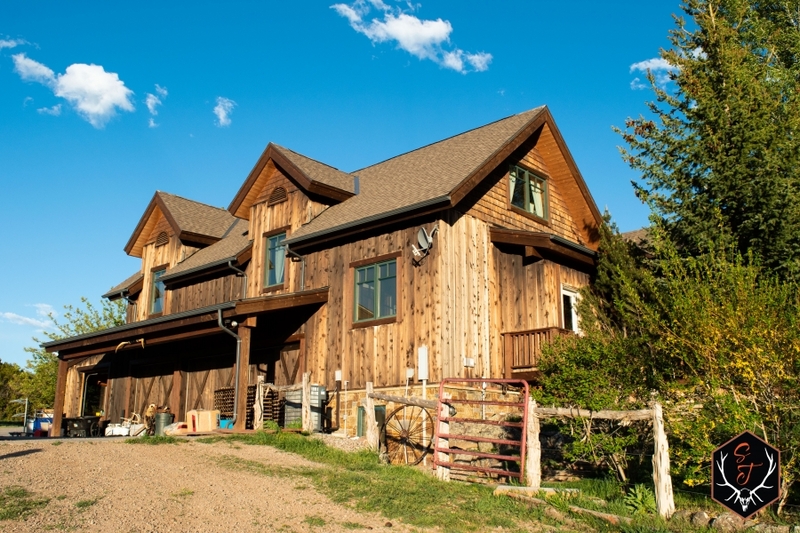 When it comes to checking all the boxes for the ideal property in Colorado, there aren't many that can compare to the Double B Ranch. 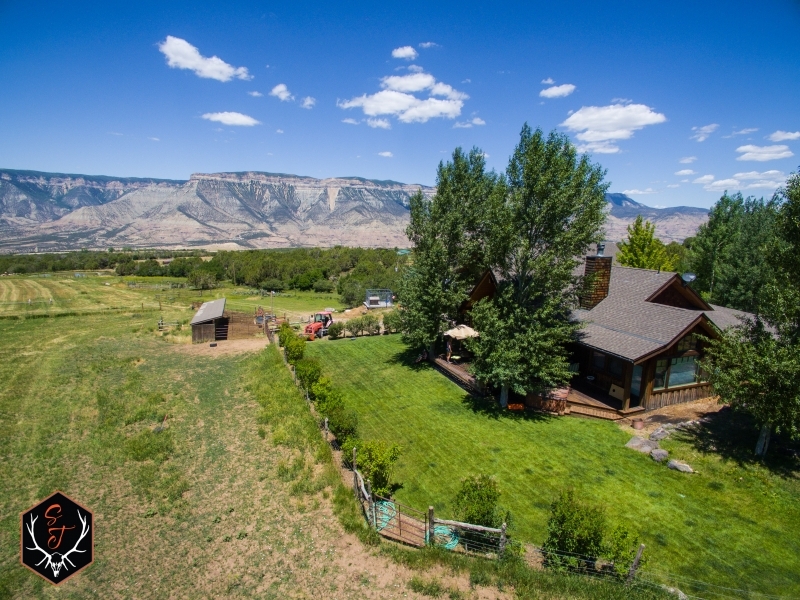 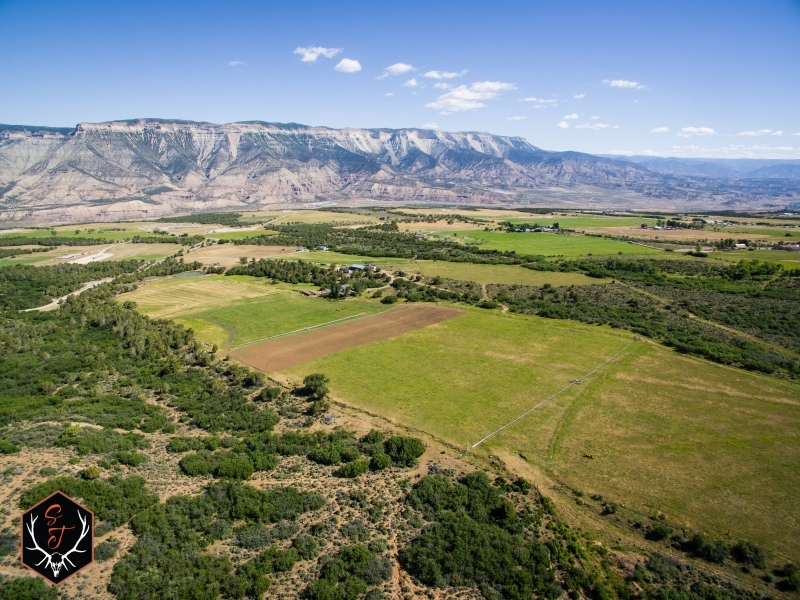 Located outside of Parachute on the Western Slope of Colorado, this ranch boasts a beautiful custom home, irrigated fields, water rights, ponds, and plentiful wildlife! 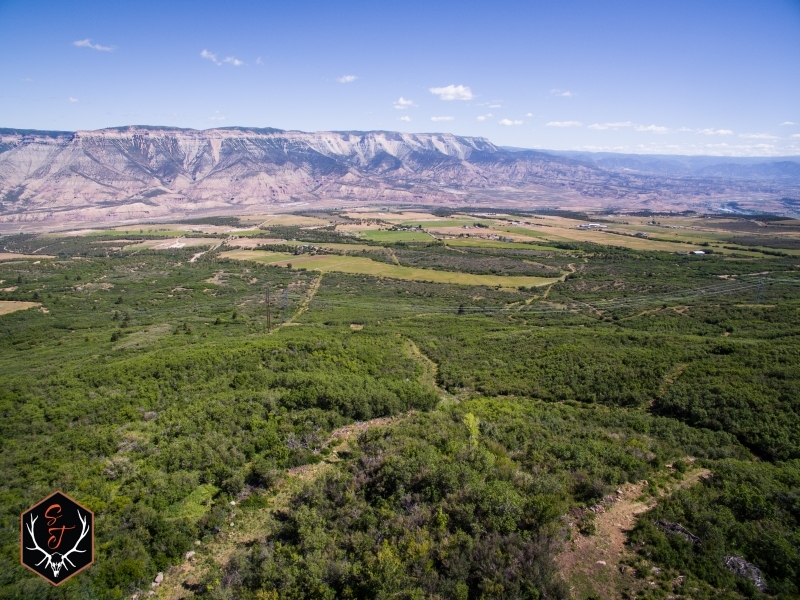 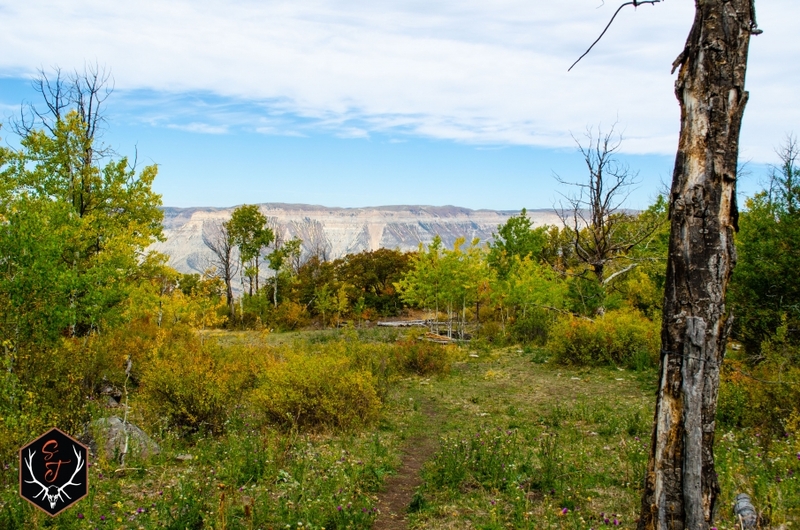 In addition, this property borders the BLM which allows you to lengthen your recreational pursuits into thousands of more acres. 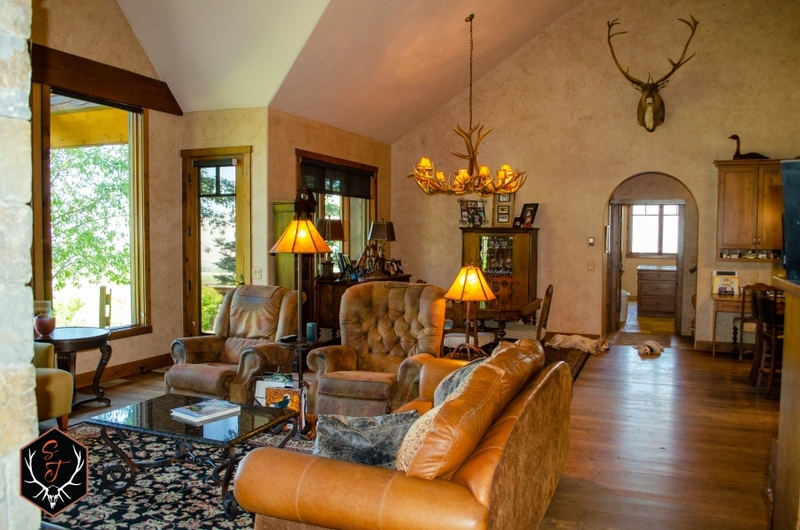 After a day full of hunting, hiking, or riding, you'll love soaking up this amazing setting from the comfort of the custom built home. 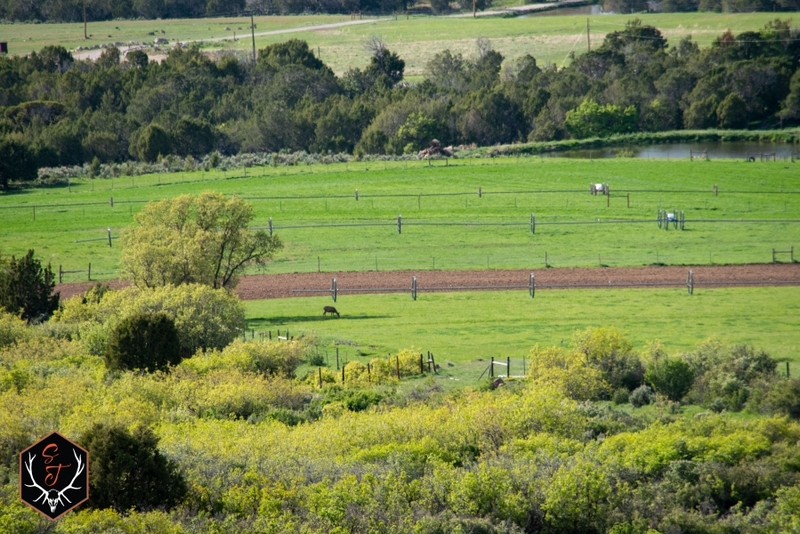 One of the first things you'll notice about the Double B Ranch is its beautiful irrigated meadows that stretch the width of the property. 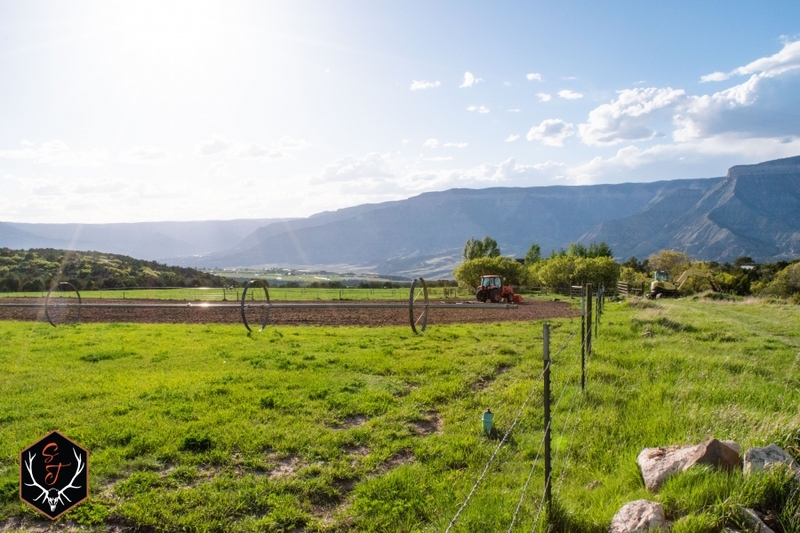 This long meadow is split into several different pastures The pastures are equipped with newer side roll irrigation equipment as well as pipe and sprinklers. 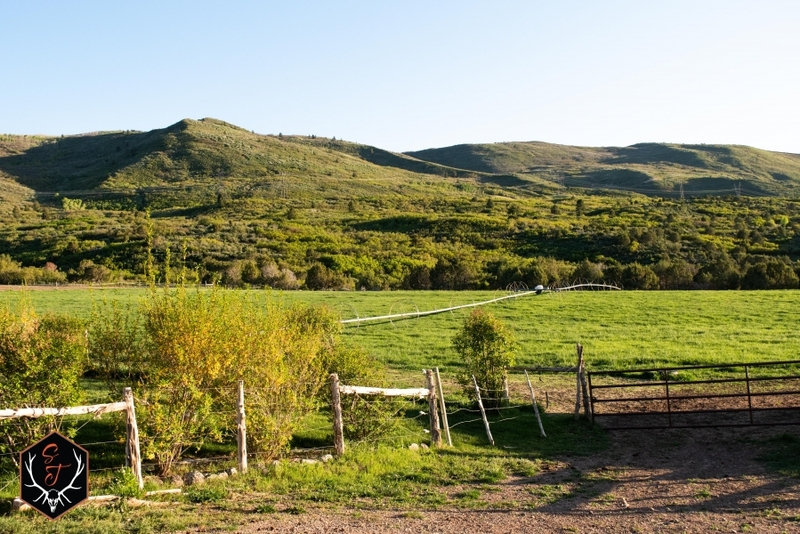 The lower half of the property is well fenced and cross-fenced to keep in horses and livestock. 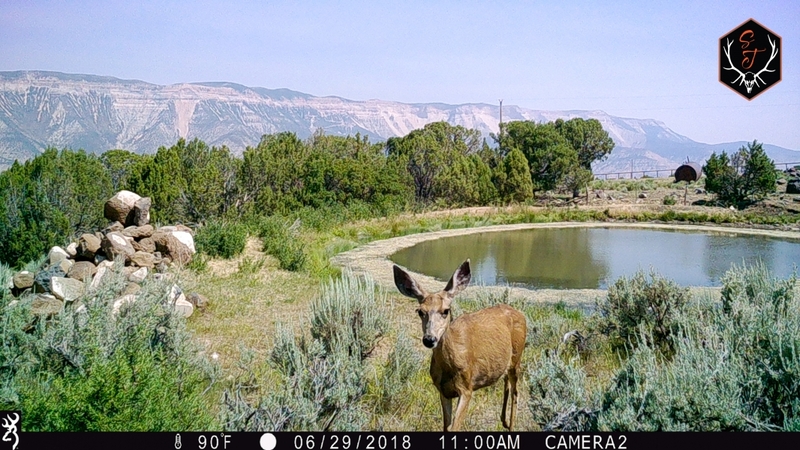 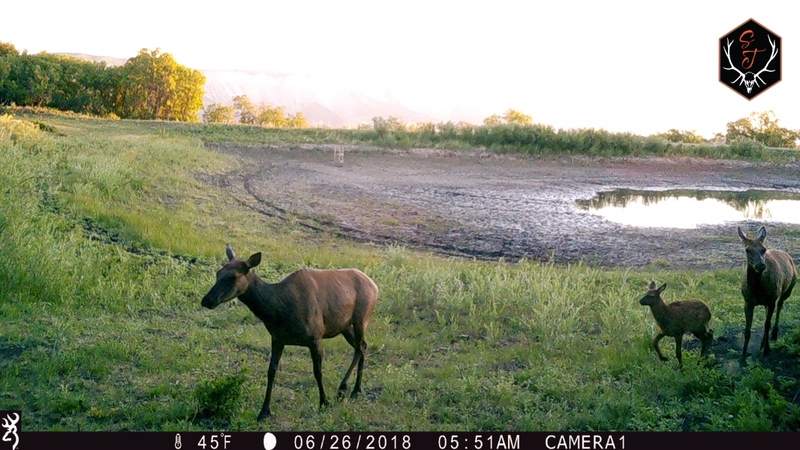 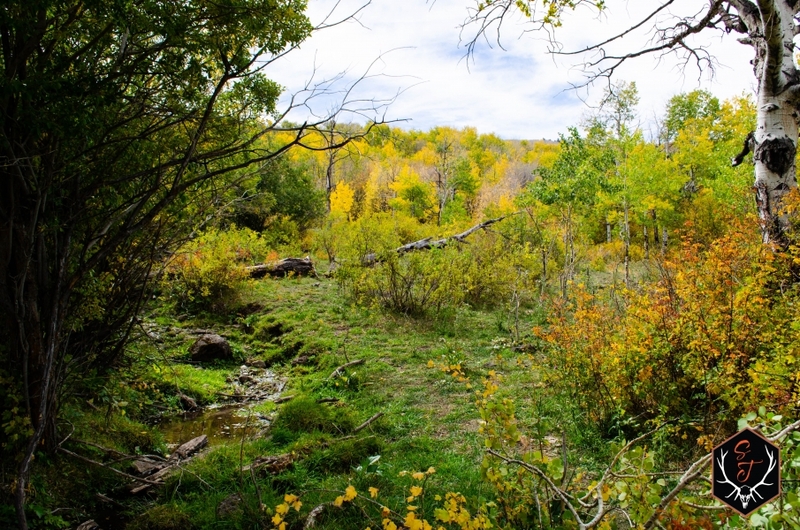 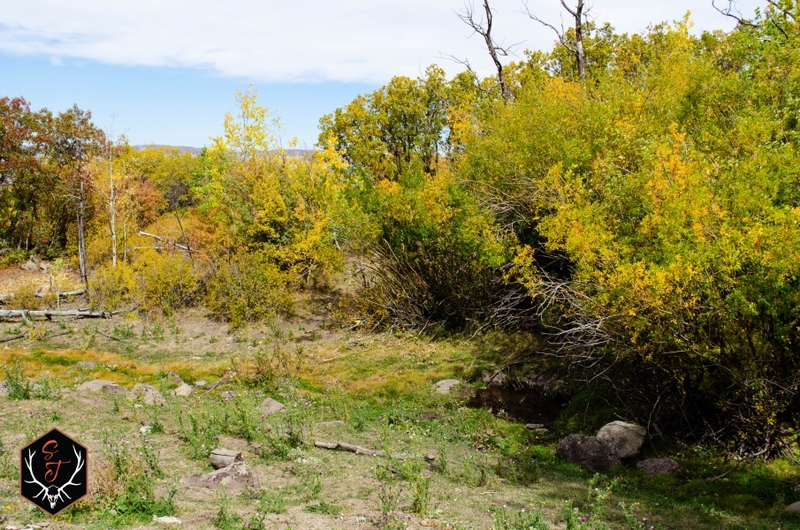 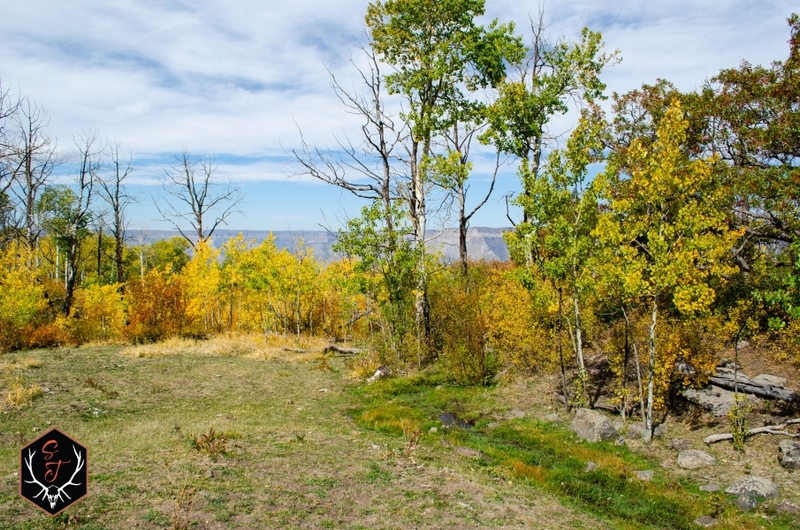 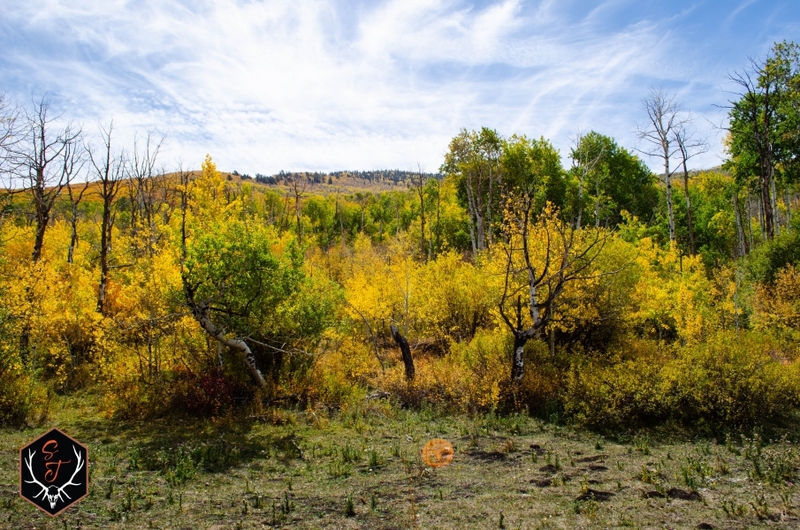 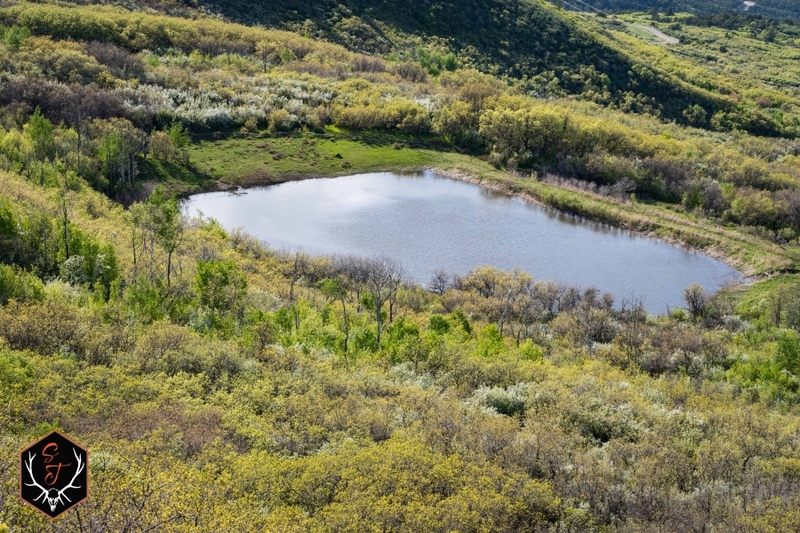 There are two ponds on the property, one halfway up the mesa in the oak brush and aspens, while the other is at the end of the meadow near the house. 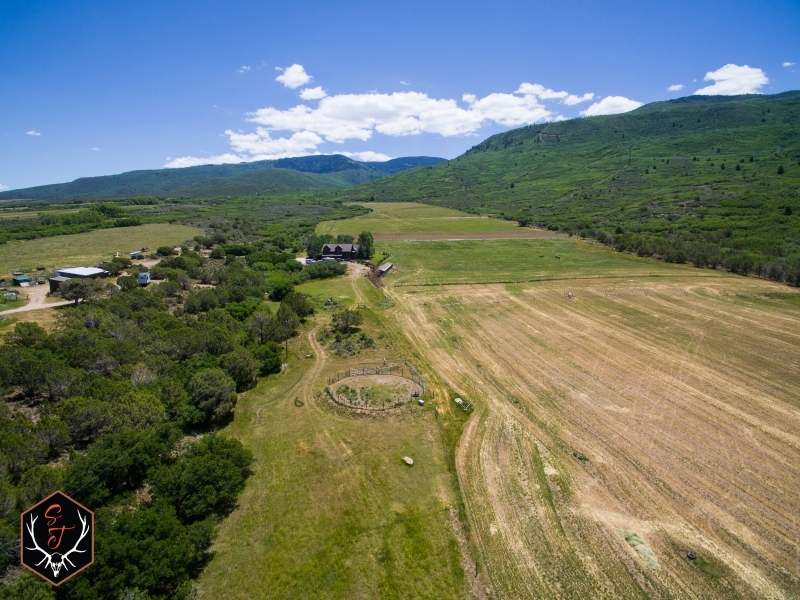 +/- 40 acres of irrigated meadow with 60 tons cut on a normal year. 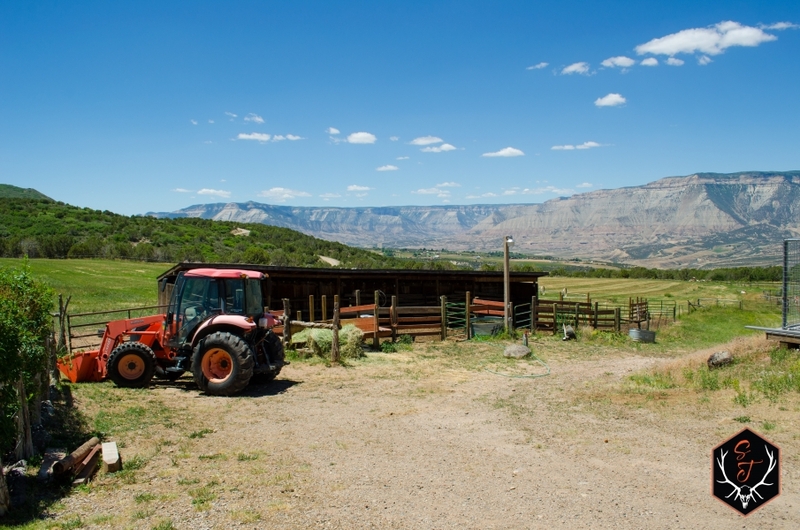 2nd cut alfalfa 7 tons. 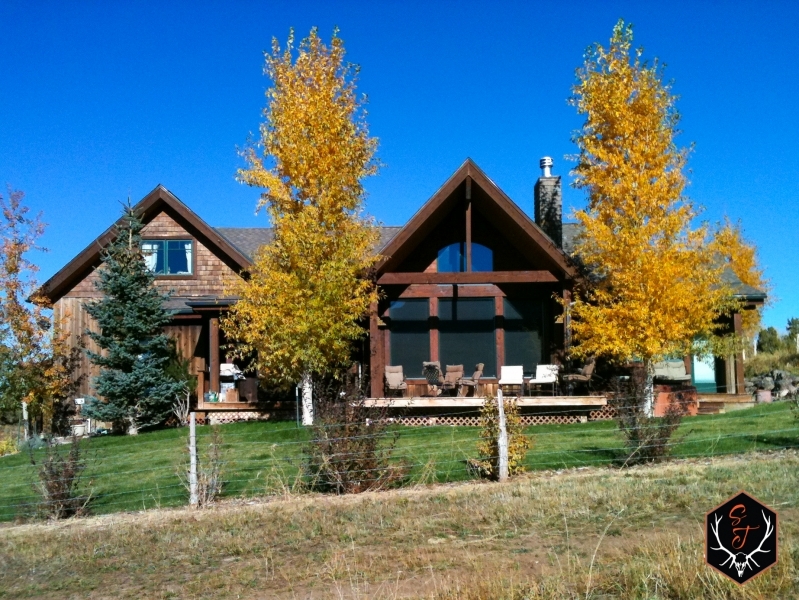 Total Finished SqFt on the house is listed at 2,762 but doesn't include the loft in the bedroom above the garage. 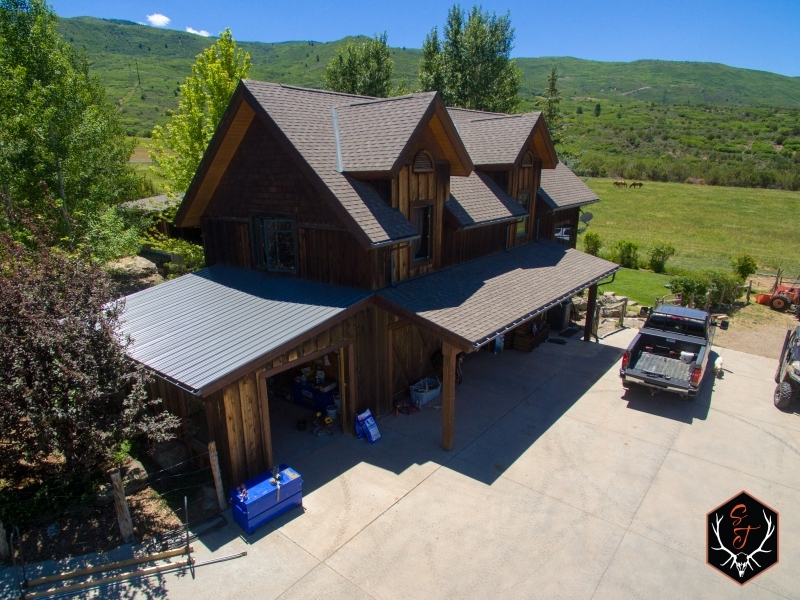 Attached 3 car garage with additional room for ATV's etc. 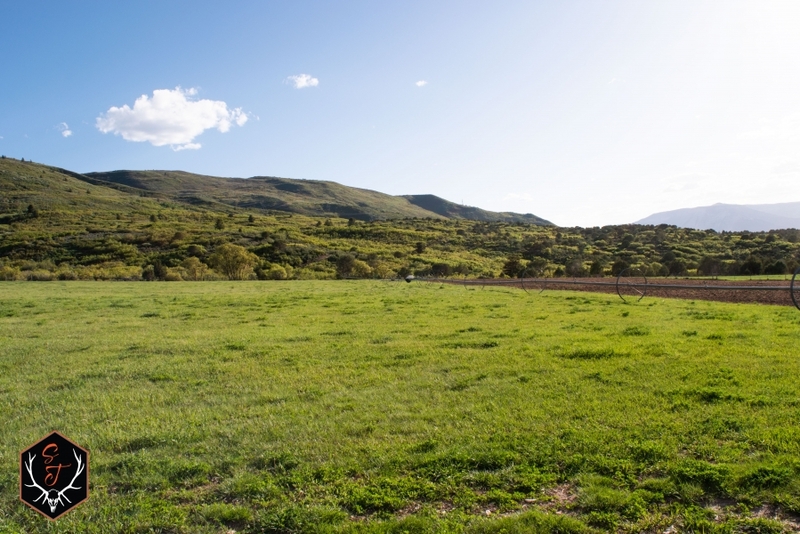 60x10 - 3 Metal Sheds and Horse Shed next to the house. 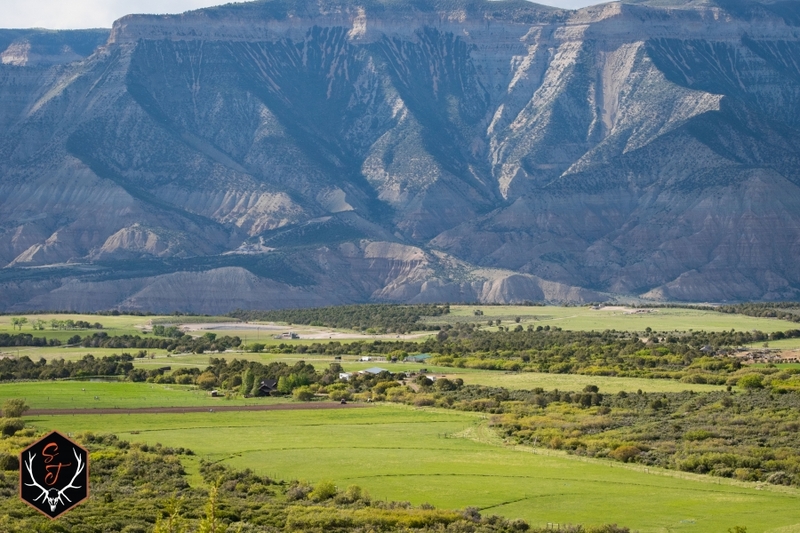 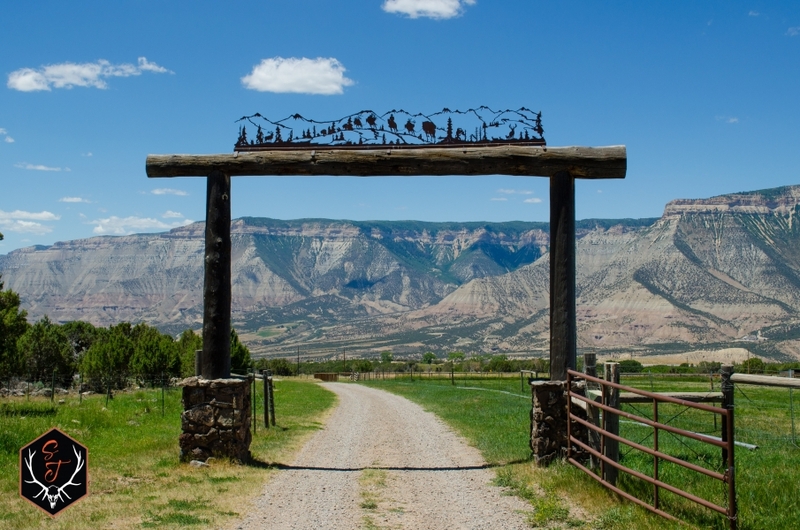 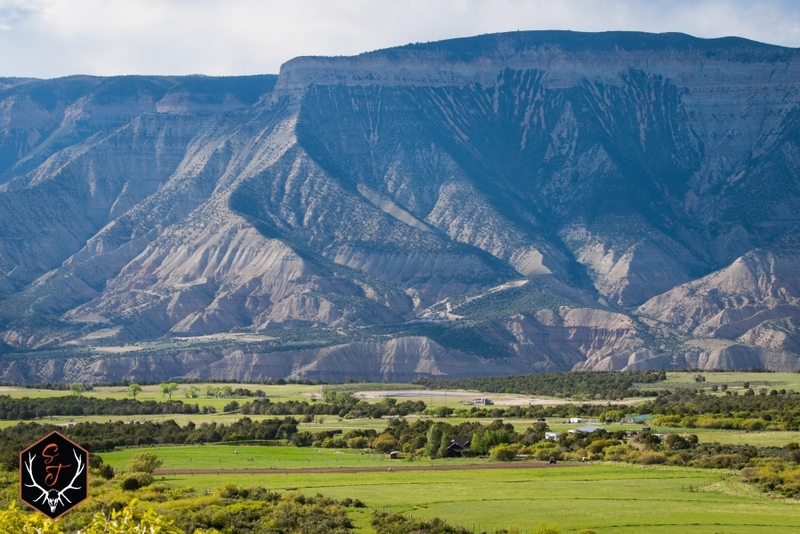 The Double B Ranch is located on Battlement Mesa, on the South side of the Colorado River basin and the I-70 corridor. 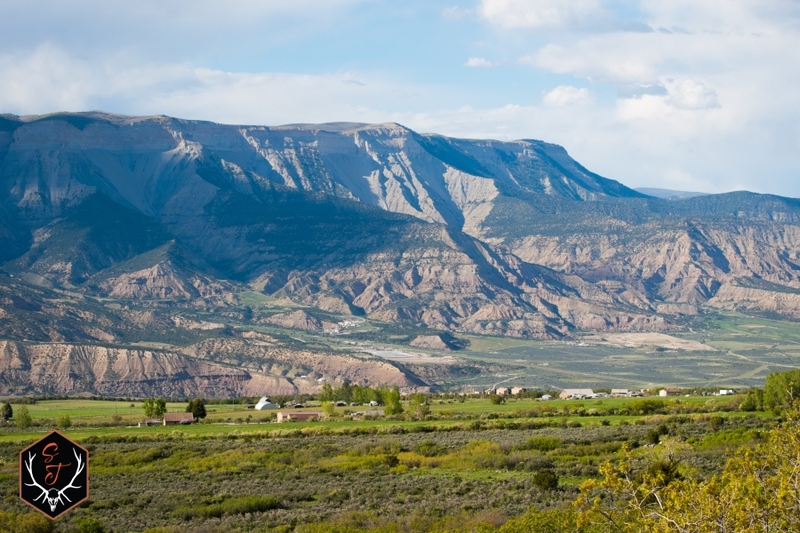 The town of Parachute is only a short drive away and lies about halfway in between Glenwood Springs and Grand Junction. 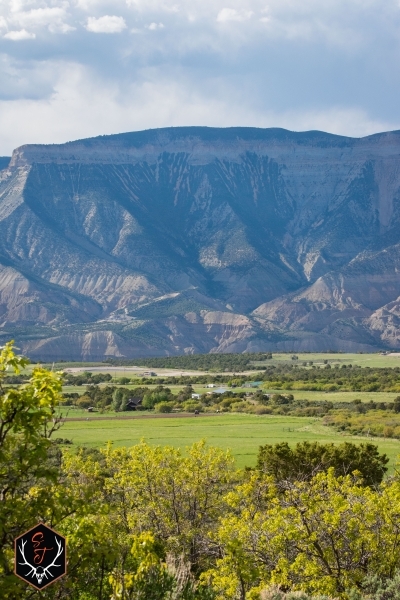 This area is known for its mild climate, the variety of vegetation, and almost unlimited recreational opportunities. 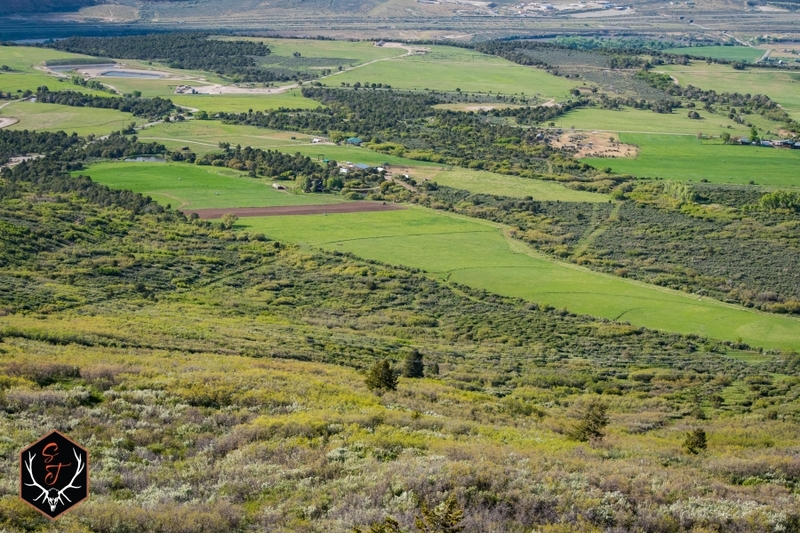 Parachute conveniently provides schools, shops, golf course, restaurants and grocery stores. 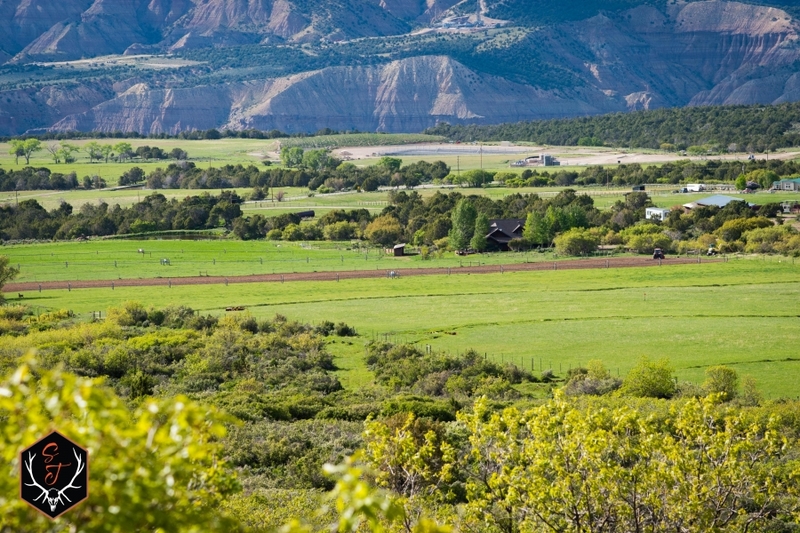 Grand Junction is home to a regional airport as well as Colorado Mesa University. 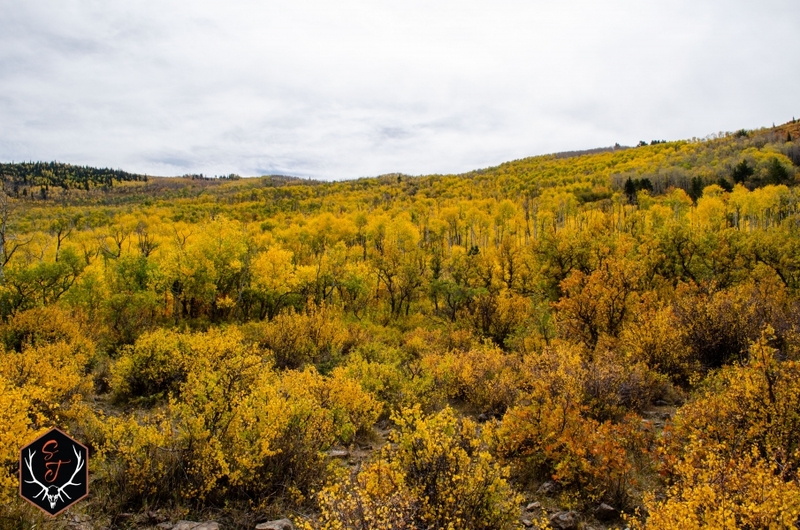 Glenwood Springs is home to famous hot springs, historic hotels, and serves as the gateway to Aspen, Snowmass, and the Maroon Bells. 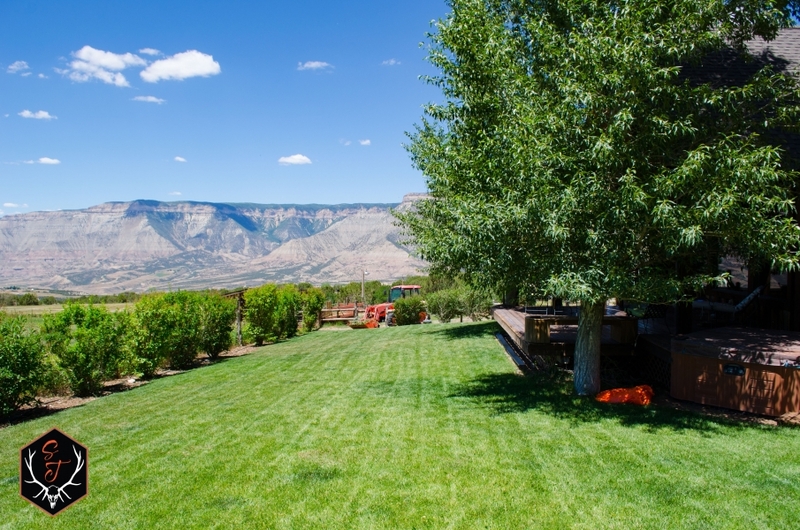 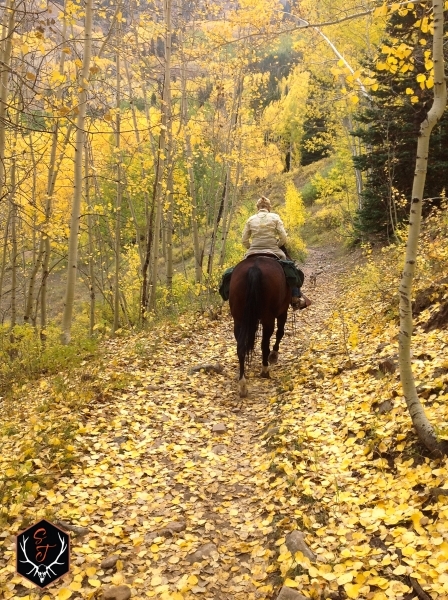 Whether you prefer to hunt, hike, fish or ride, you can do it all right out the back door of the Double B Ranch. 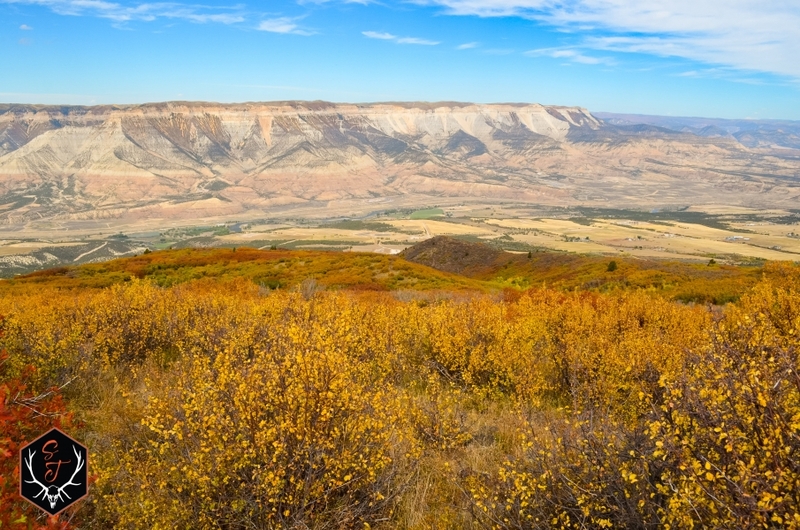 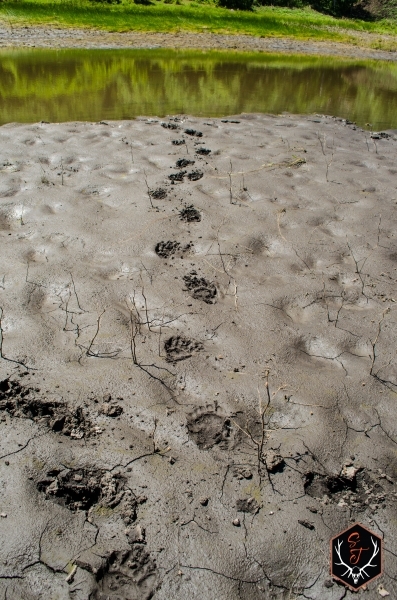 This area is well known for its diversity of wildlife, including Elk, Mule Deer, Moose, Black Bear, Grouse, Ducks, and Geese. 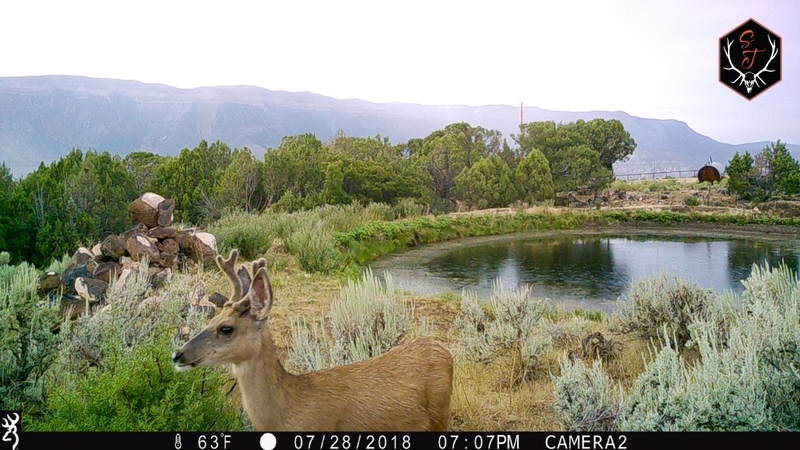 With thousands of acres of BLM bordering the ranch, there is always the opportunity to ride further, hunt farther, and hike harder, because you never know what may lie on the other side of that next ridge... 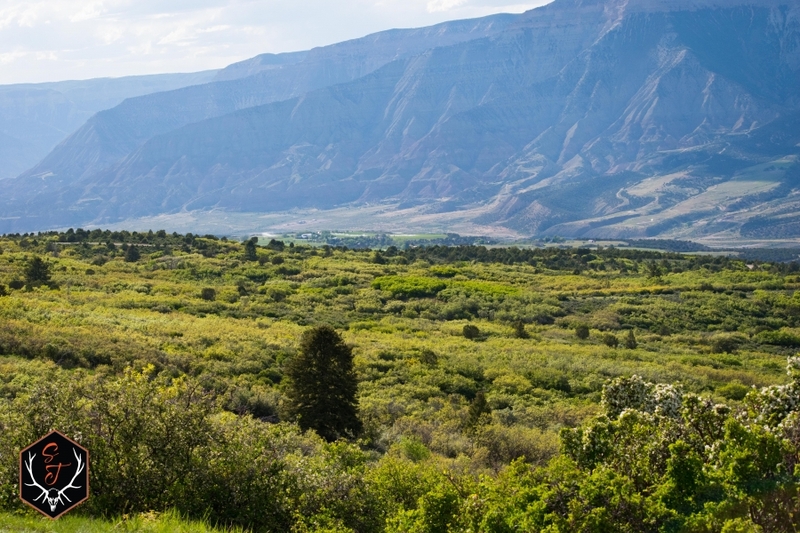 If fishing is your vice, the famous Colorado River provides ample opportunity to catch trout year-round. 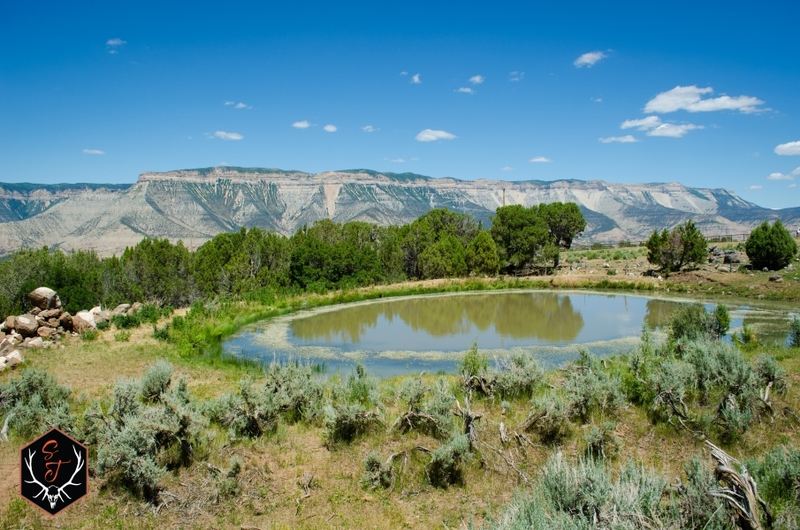 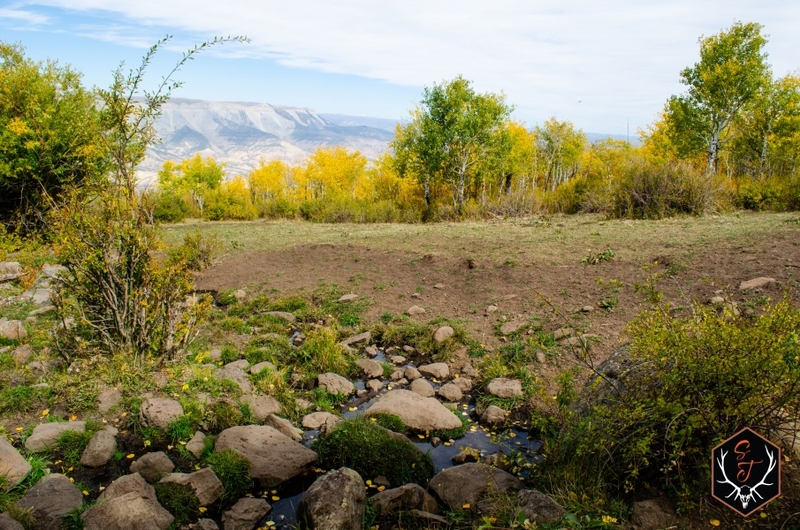 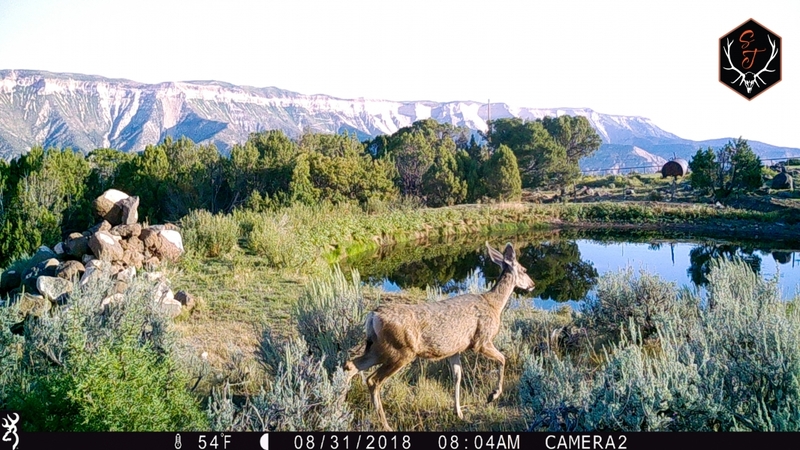 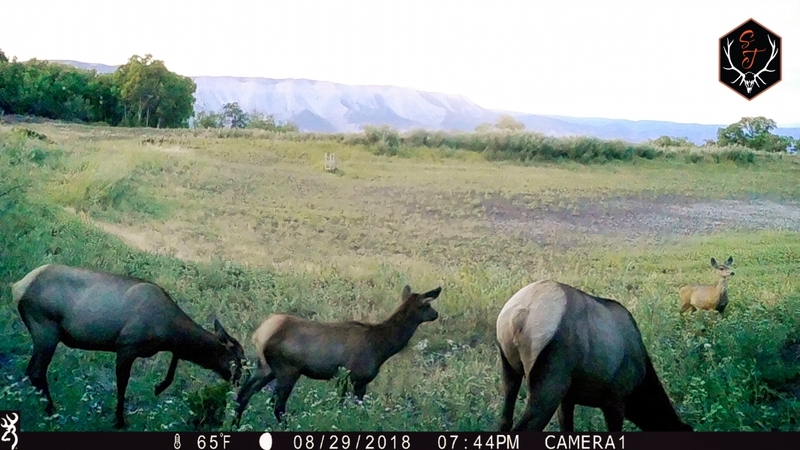 In addition, there is an untold number of small mountain lakes and streams on the mesa that provides that pure backcountry fly-fishing experience that our grandfathers cherished. 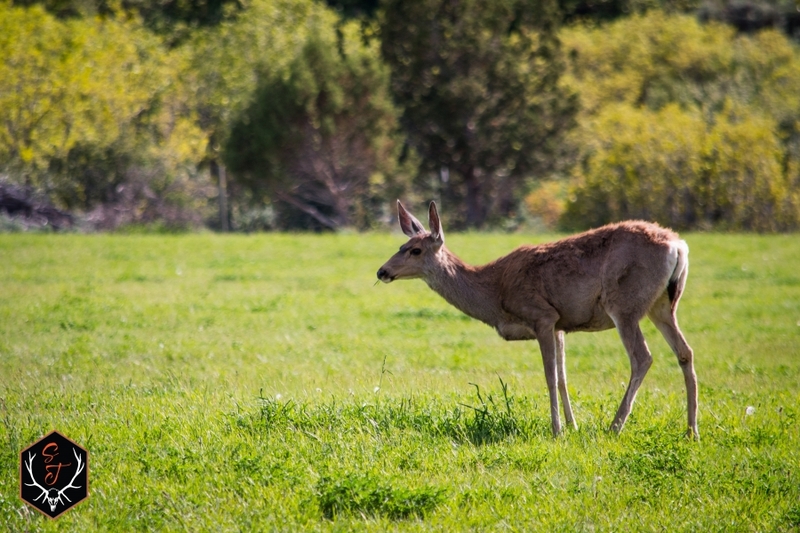 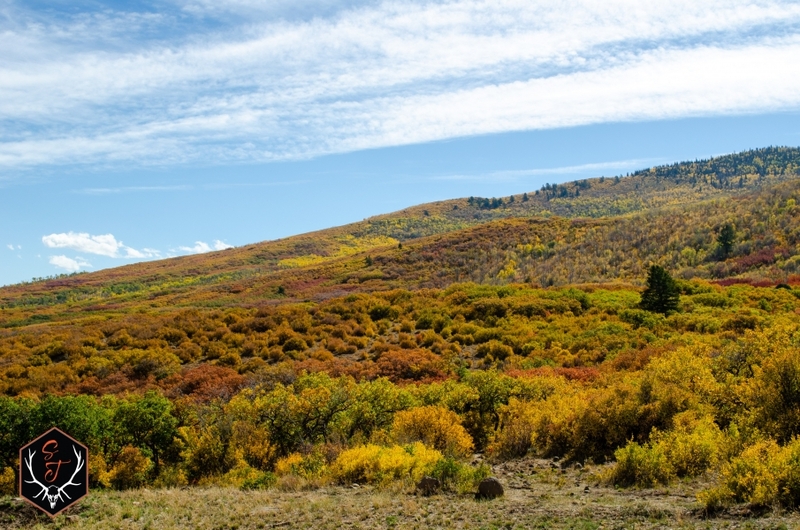 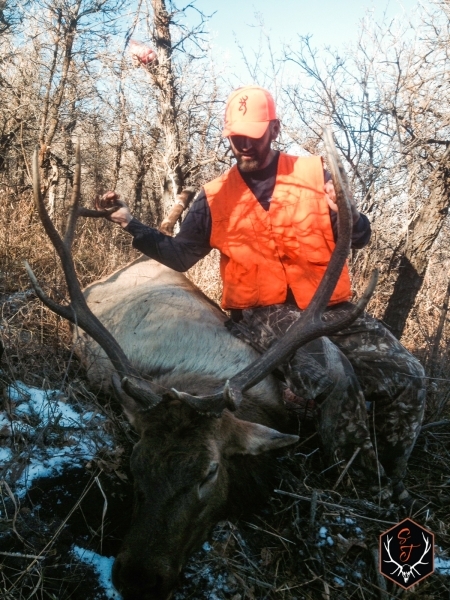 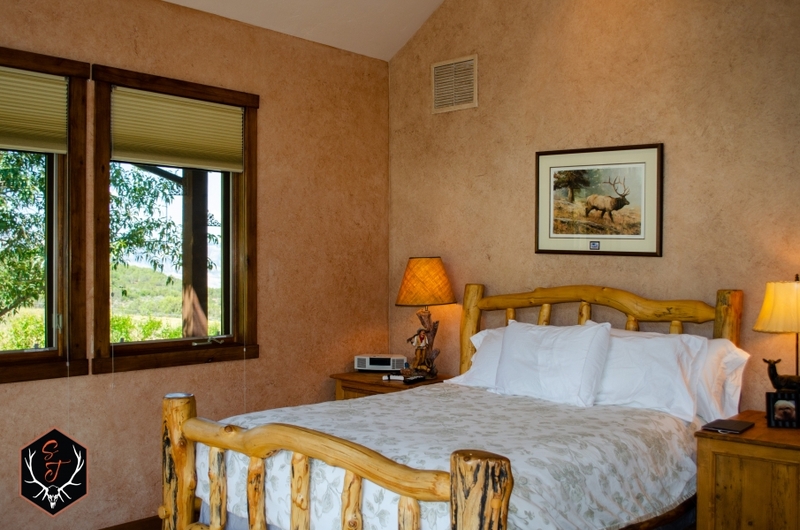 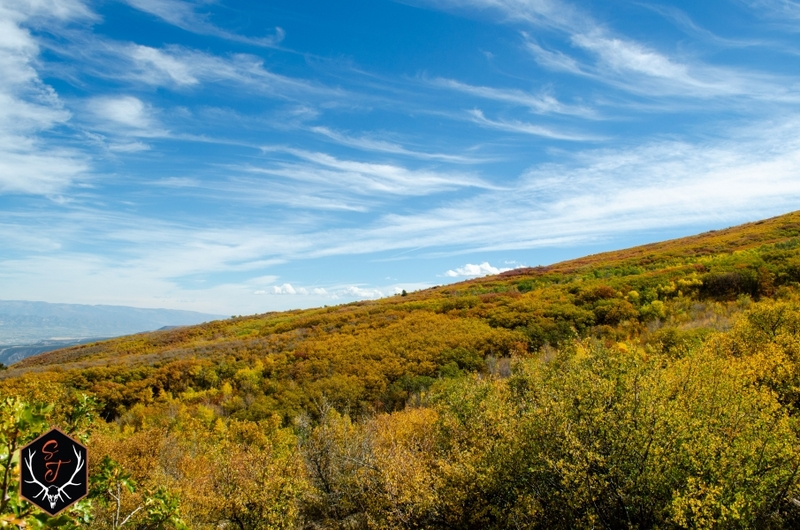 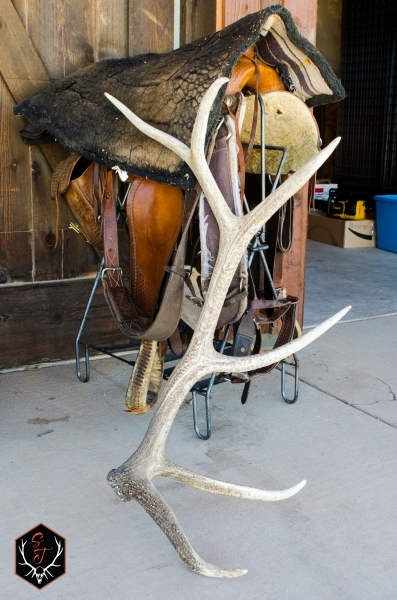 This part of the state, and this ranch in particular, is known for its abundant big game! 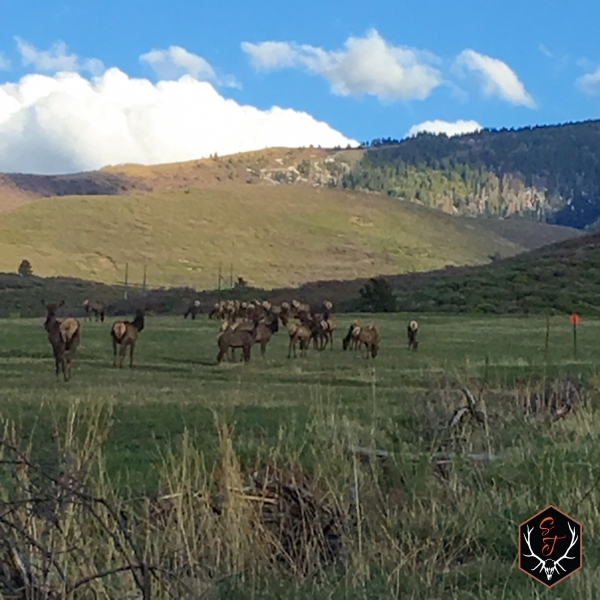 This property is located in GMU 42, which is an Over-the-Counter Unit for Elk (archery, 2nd & 3rd rifle). 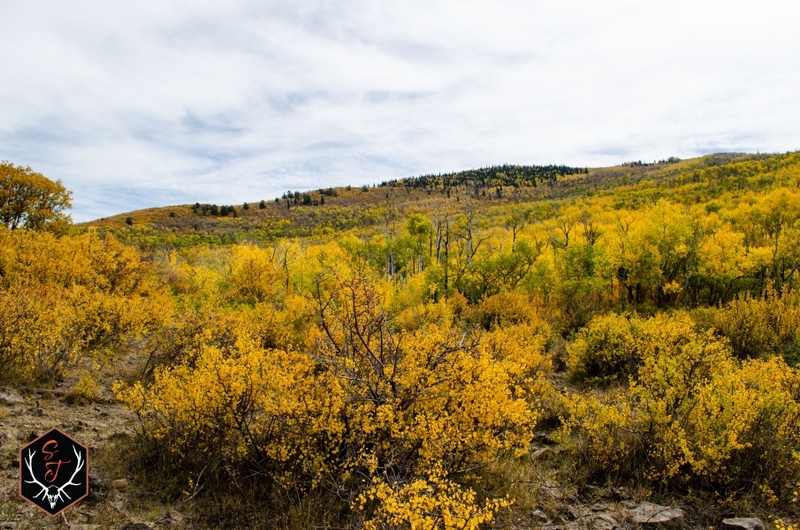 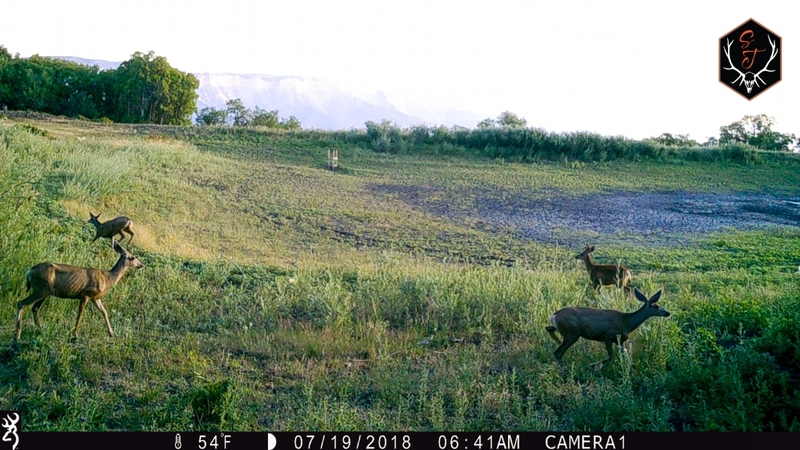 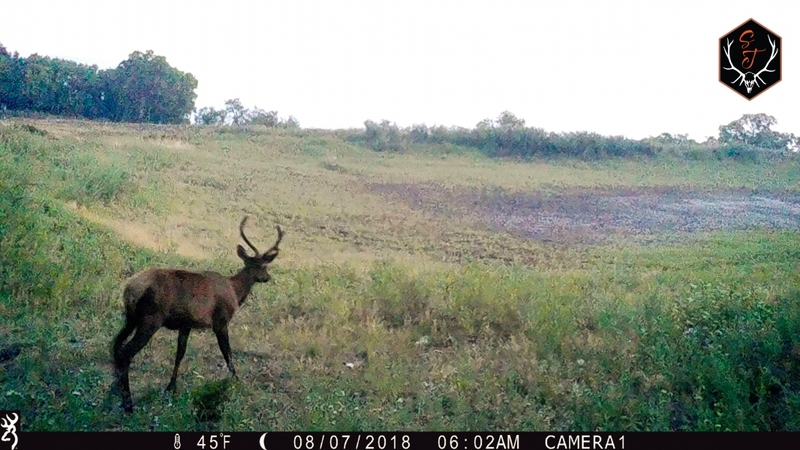 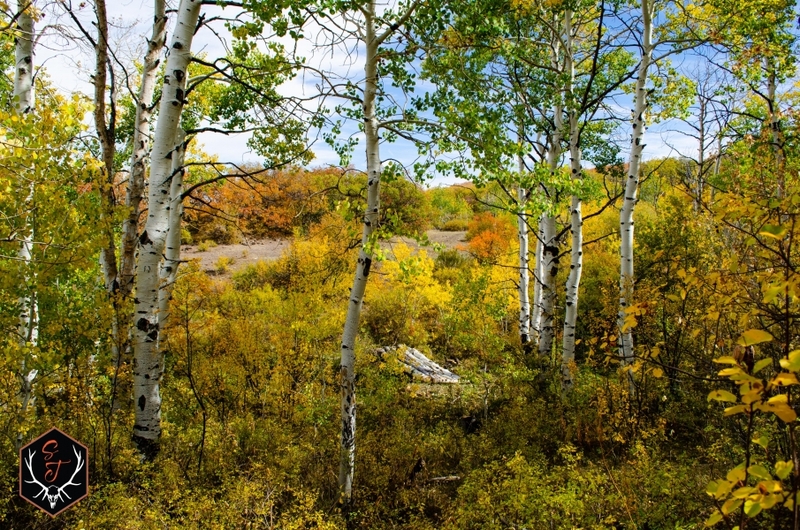 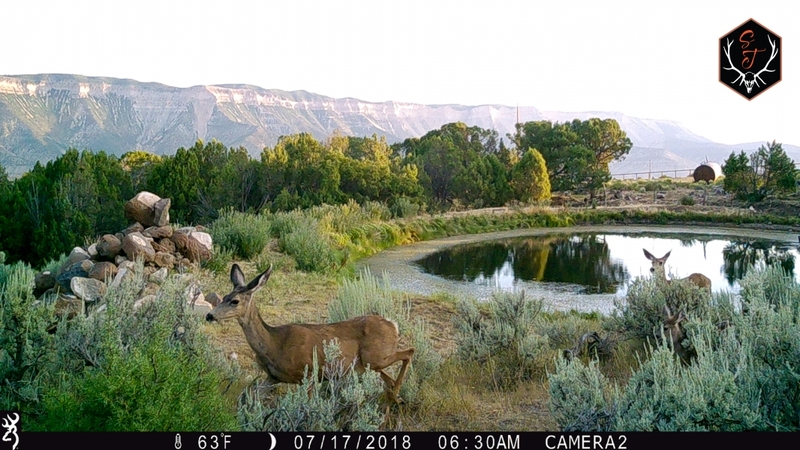 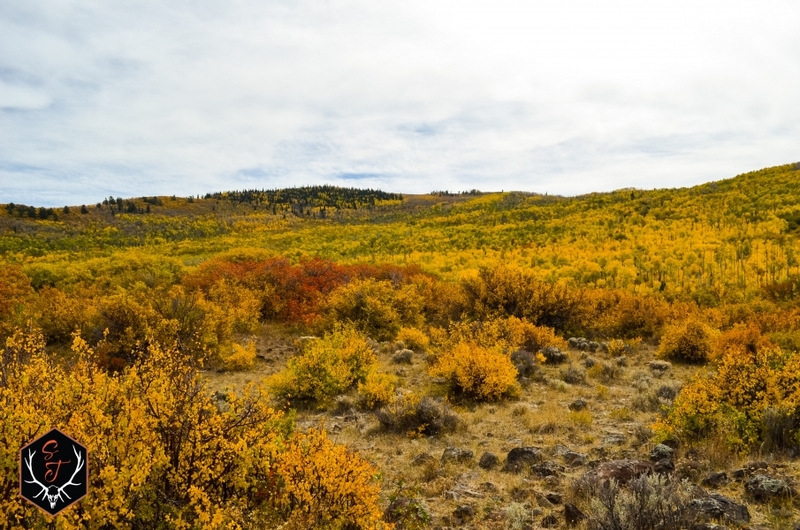 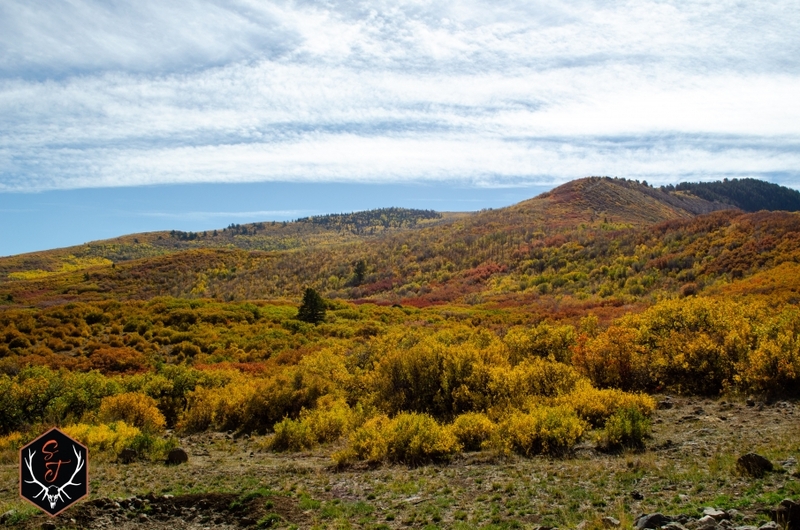 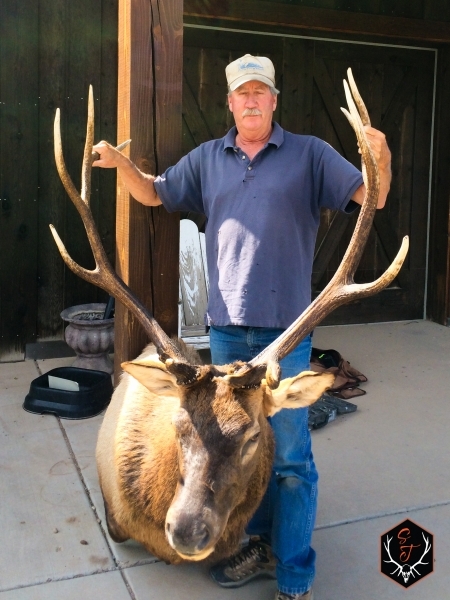 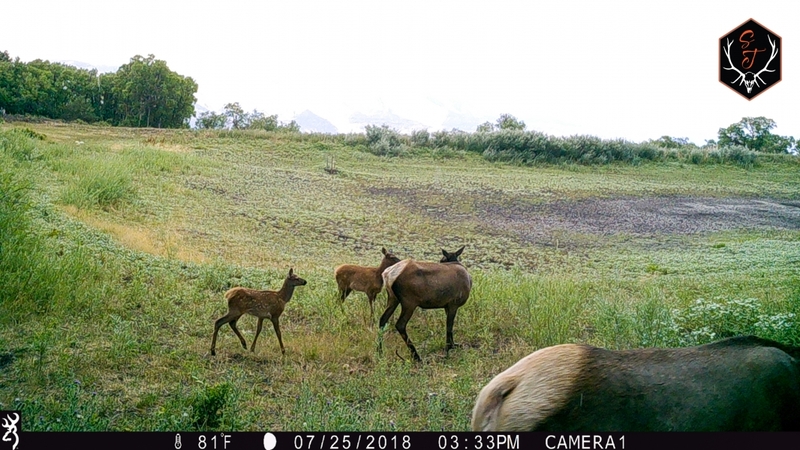 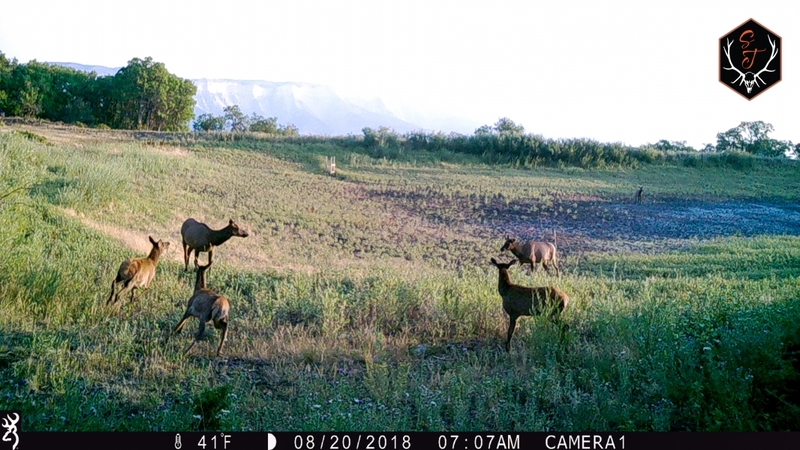 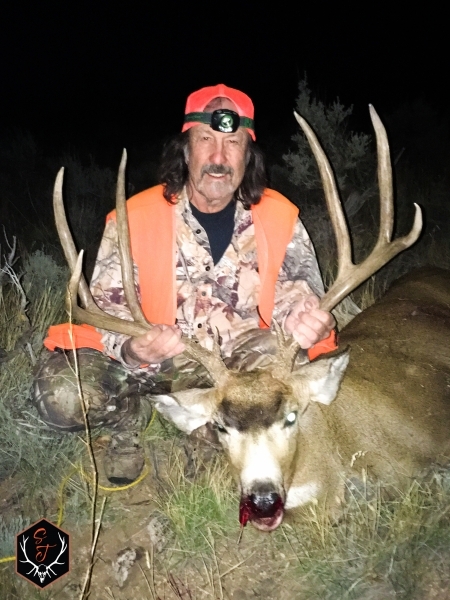 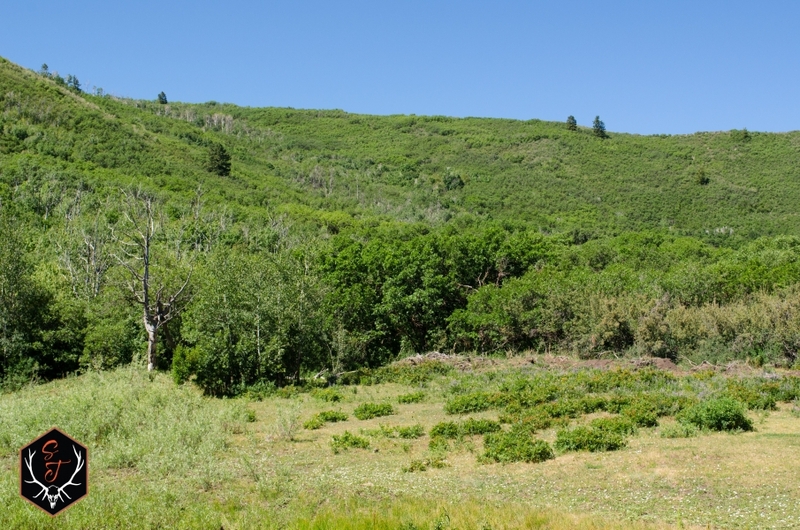 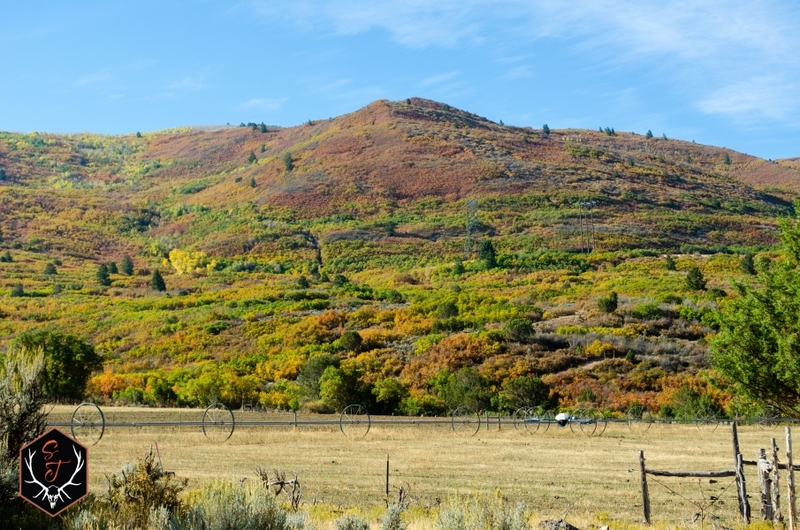 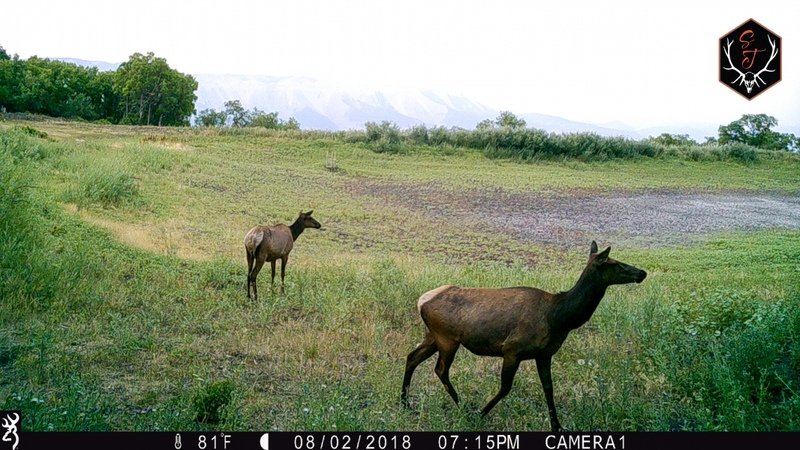 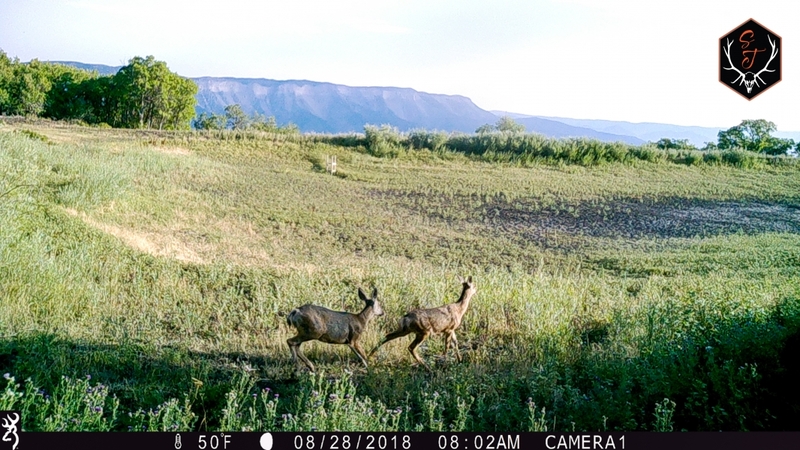 This ranch qualifies for Landowner Mule Deer tags and produces good quality bucks every year. 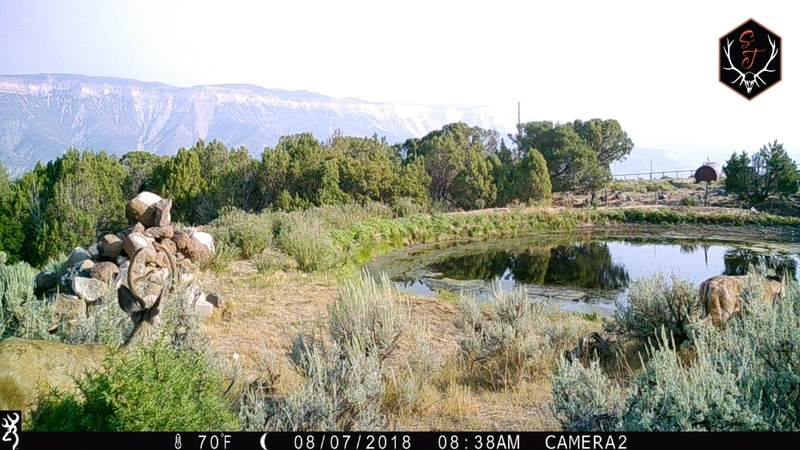 Bear tags are also available through the limited draw and there are some beautiful color phase bears feeding on the local berry bushes. 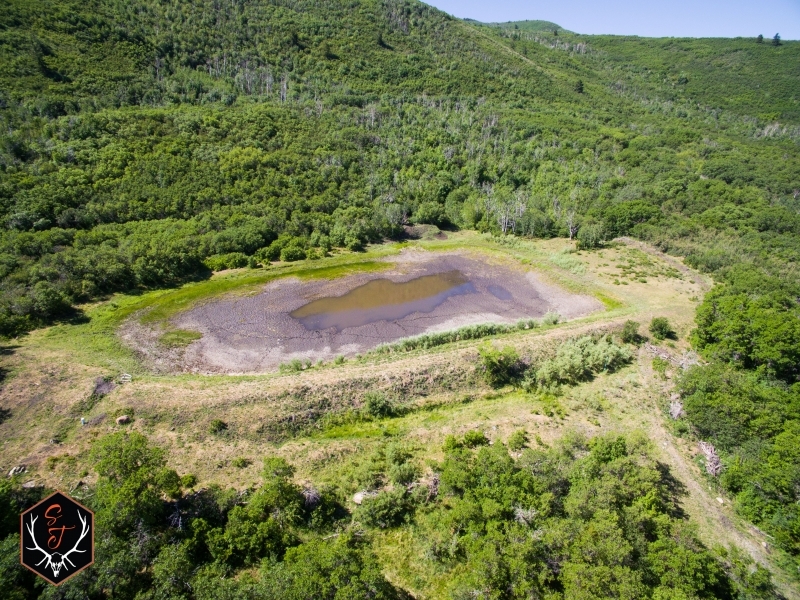 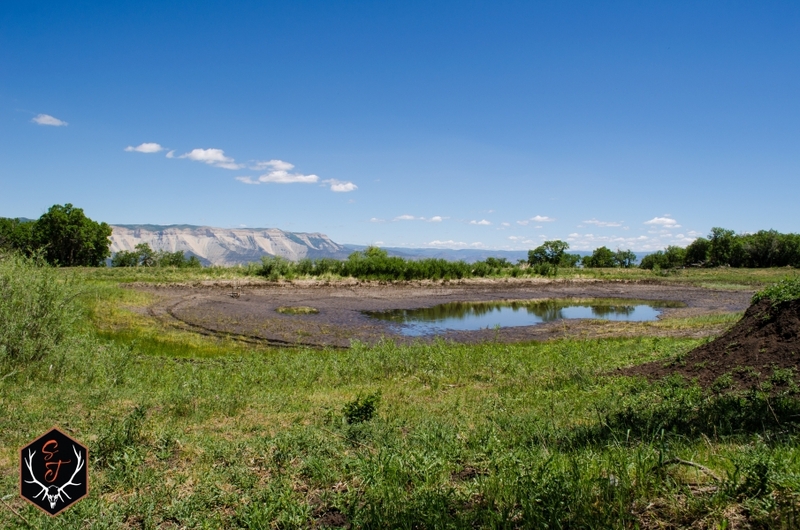 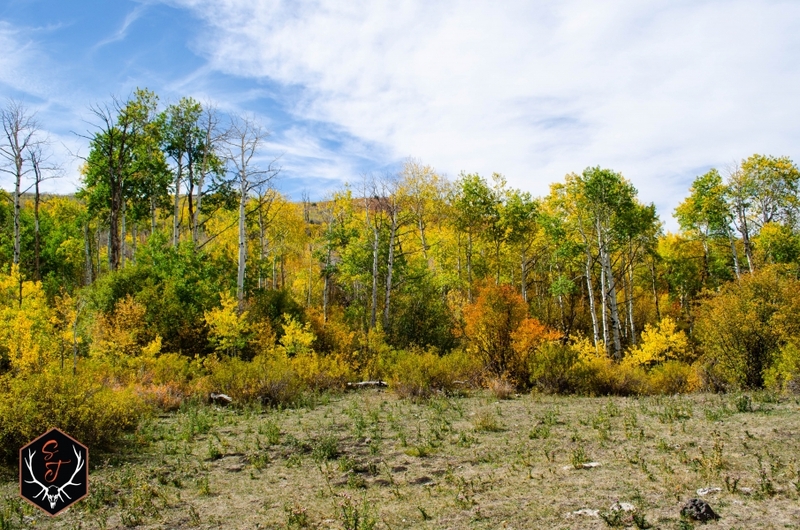 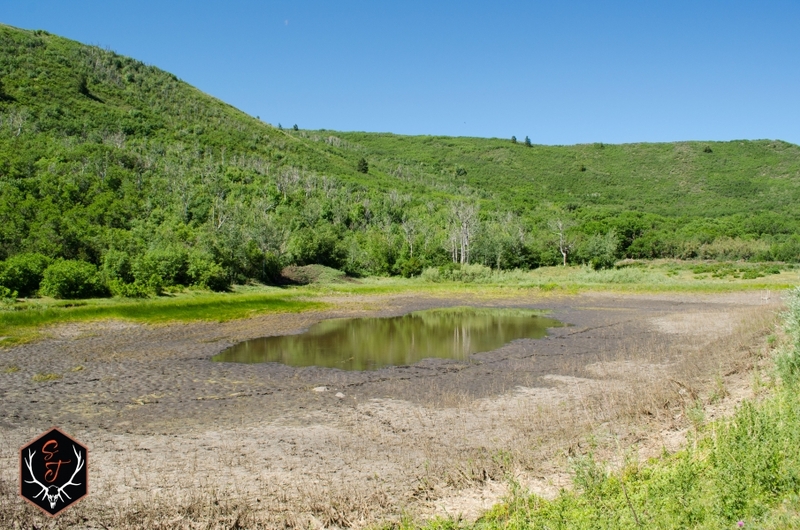 The combination of dark timber, aspen quakies, ponds, and irrigated fields make the perfect habitat to hold game on the ranch year-round. 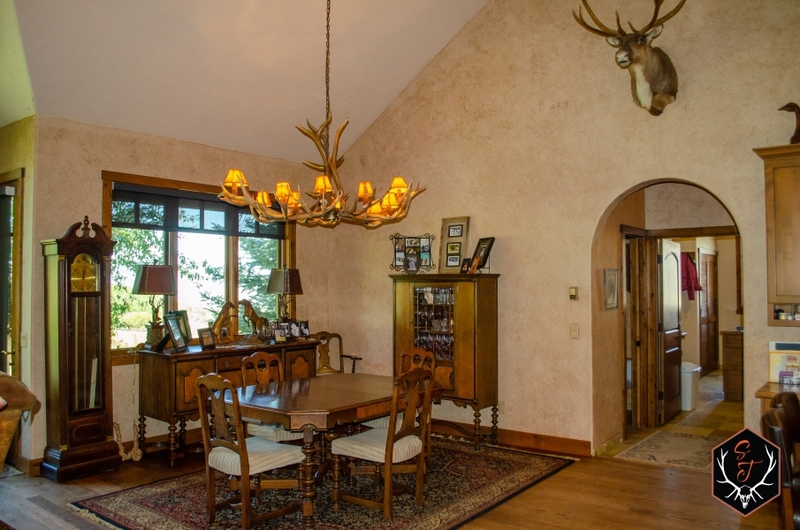 As impressive as the ranch is, the custom built home on the Double B boasts quality and attention to detail. 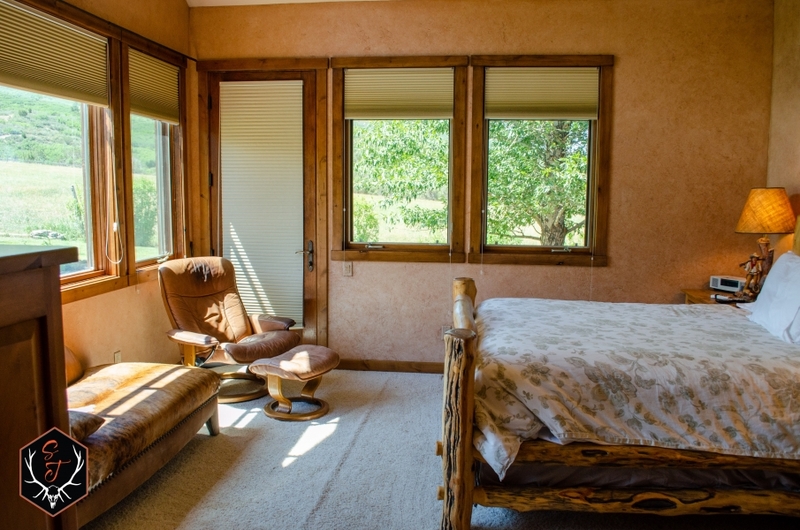 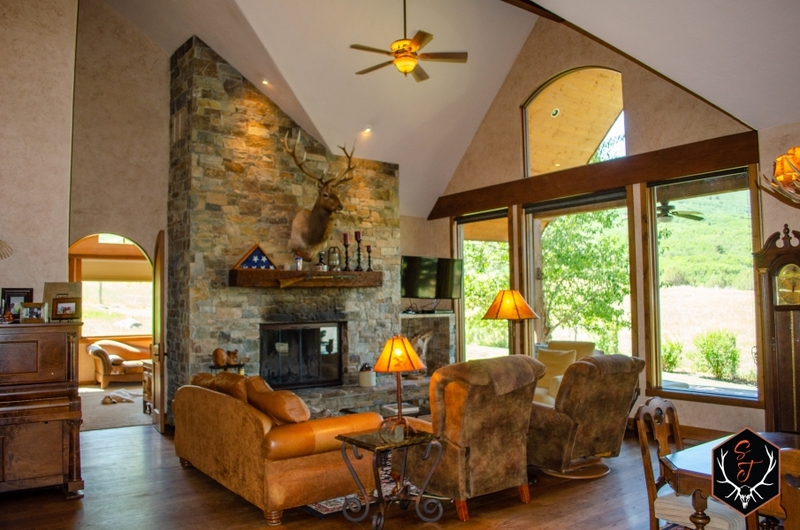 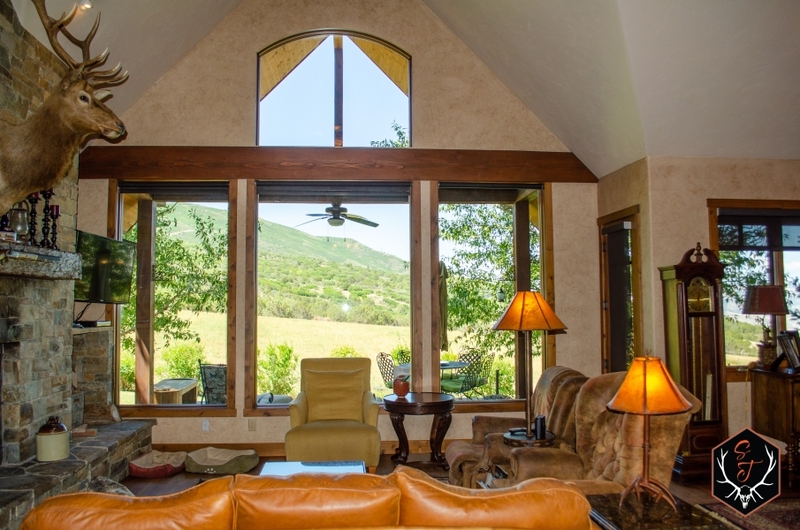 The living room includes vaulted ceilings, picture windows overlooking the meadow, and a large stone fireplace. 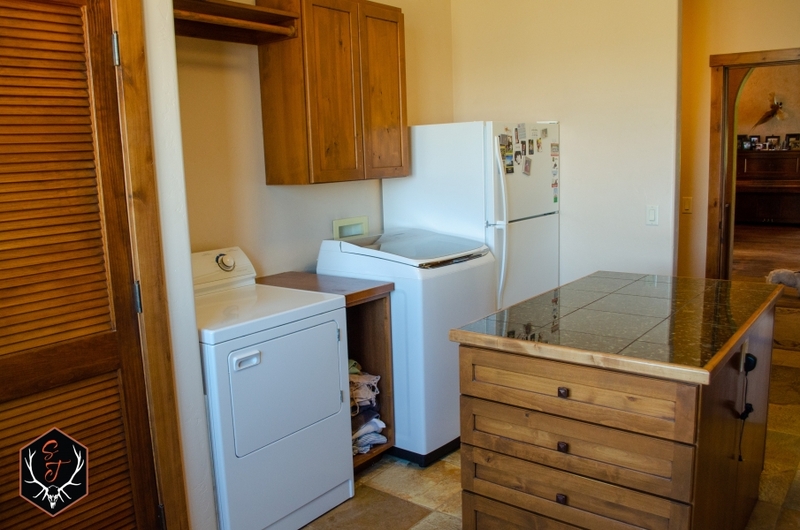 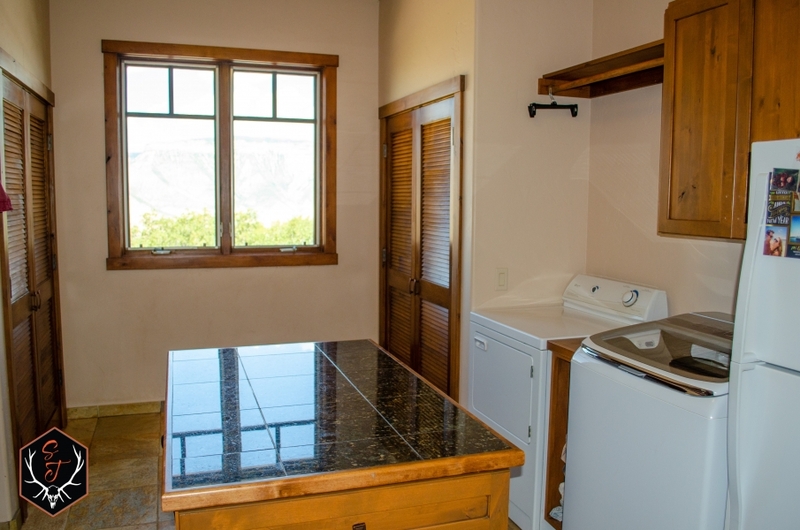 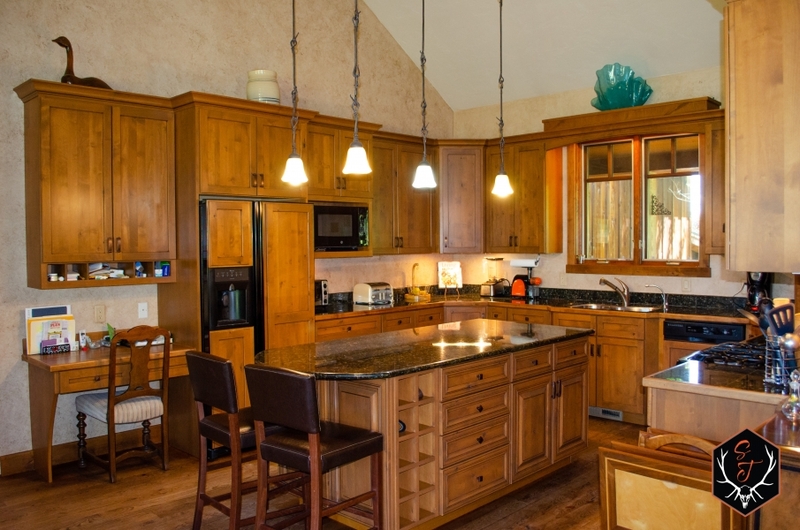 The kitchen includes granite countertops, stainless steel appliances, large kitchen island, and custom cabinets. 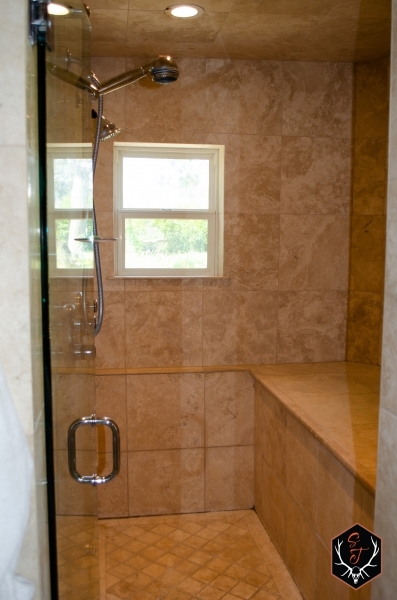 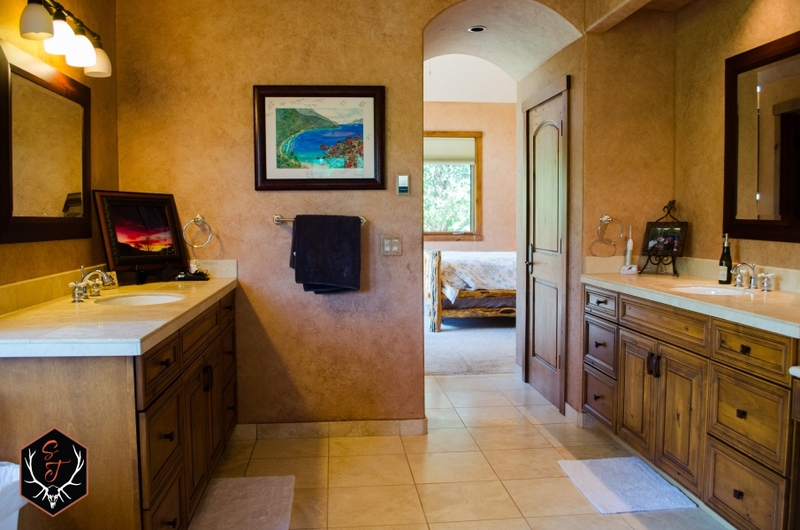 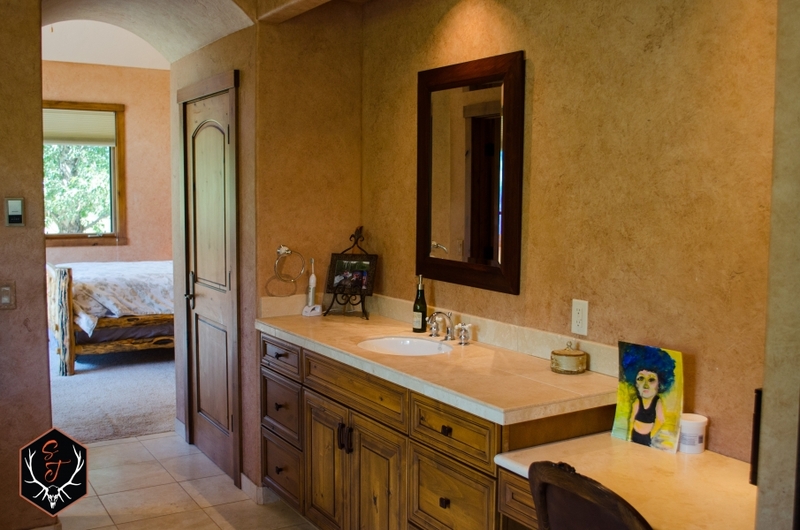 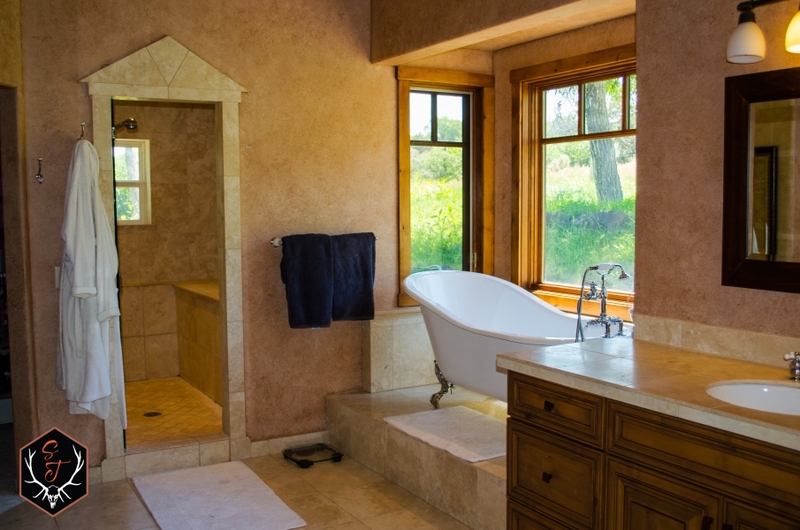 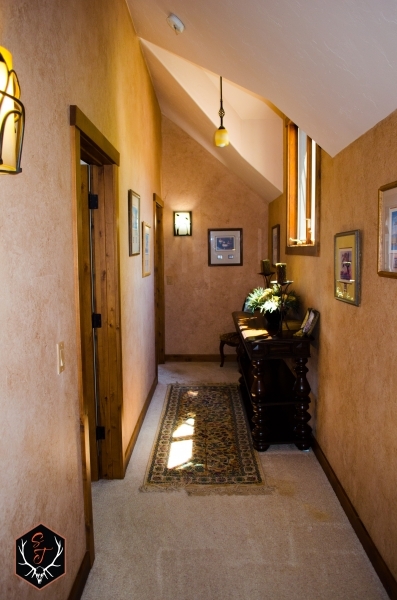 The east wing of the house is where the master suite is located and includes a walk-in closet, jetted tub and large shower. 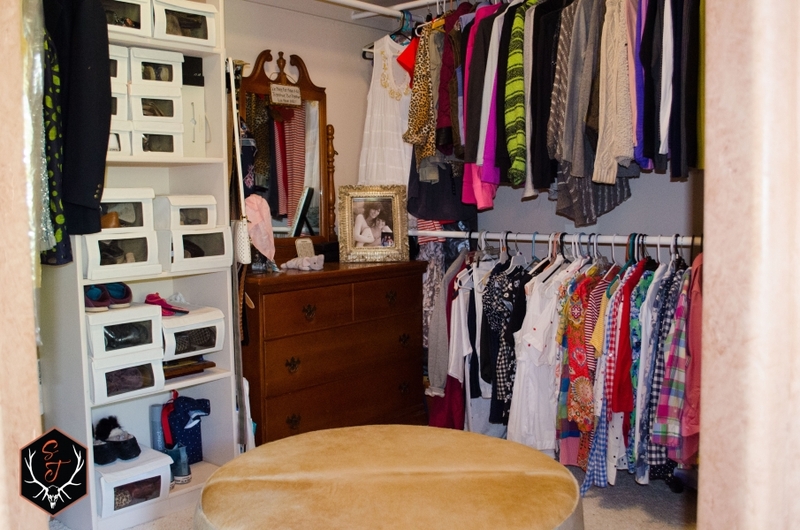 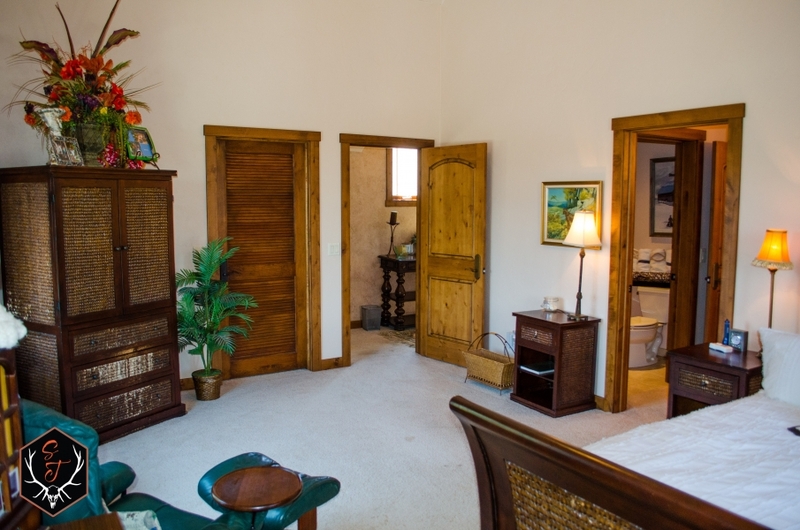 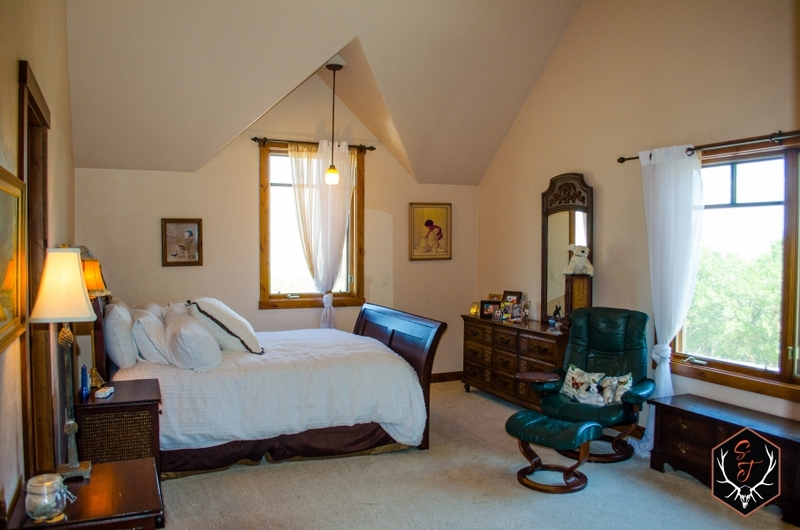 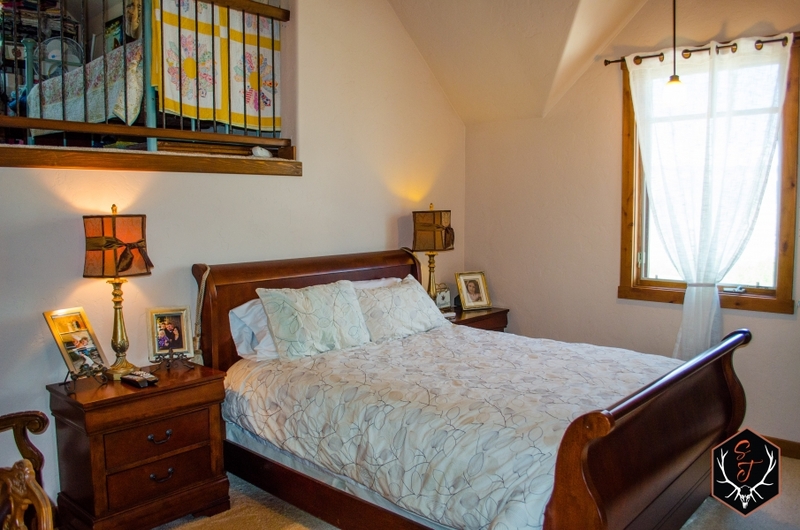 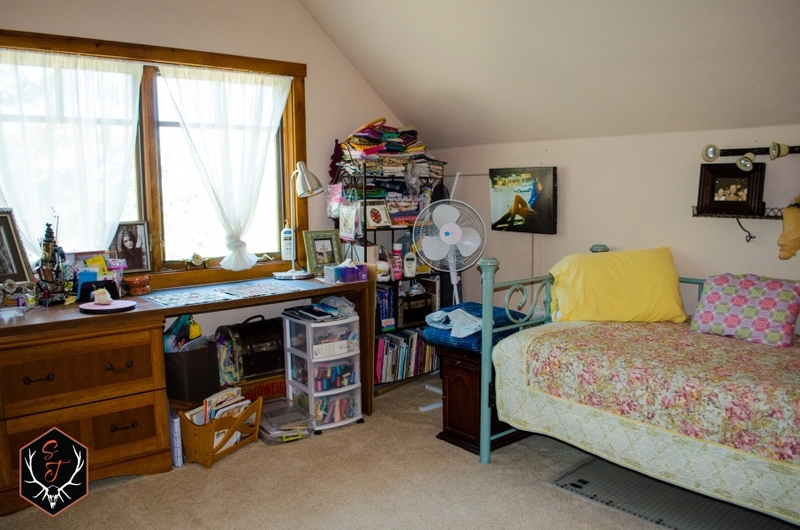 There are two additional bedrooms as well as a large mother-in-law suite above the oversized three car garages. 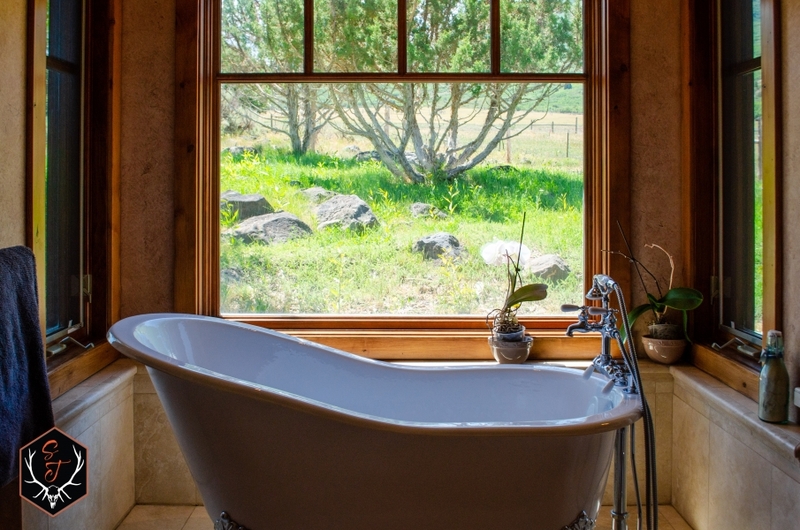 The list of quality home attributes are too long to list here, but we're happy to share more upon request! 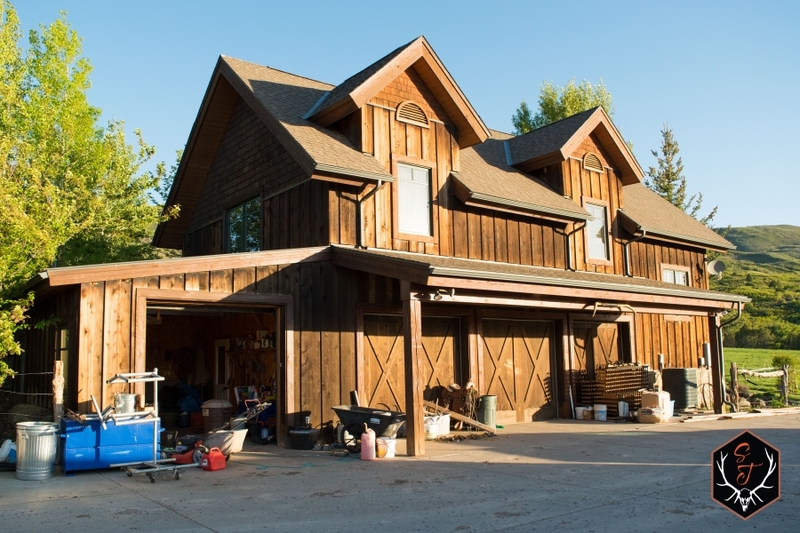 Finally, the Double B Ranch's outbuildings, including a barn, hay storage, and sheds, make it the perfect setup for a horse or hobby farm. 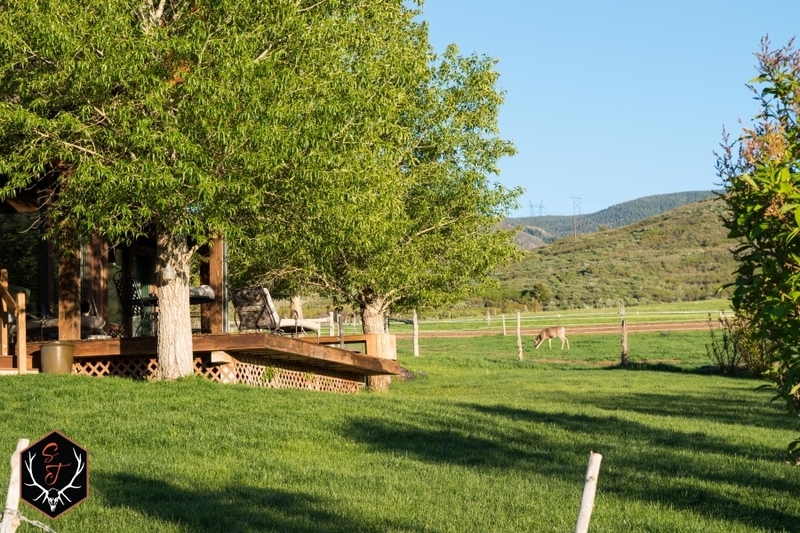 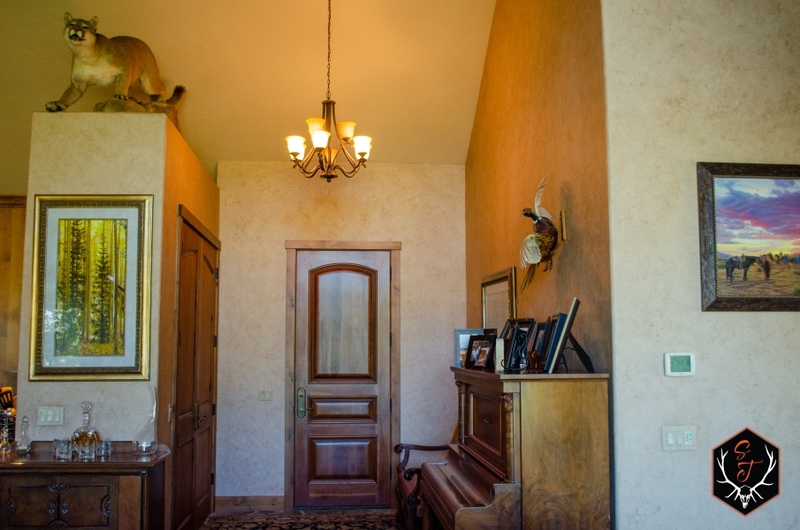 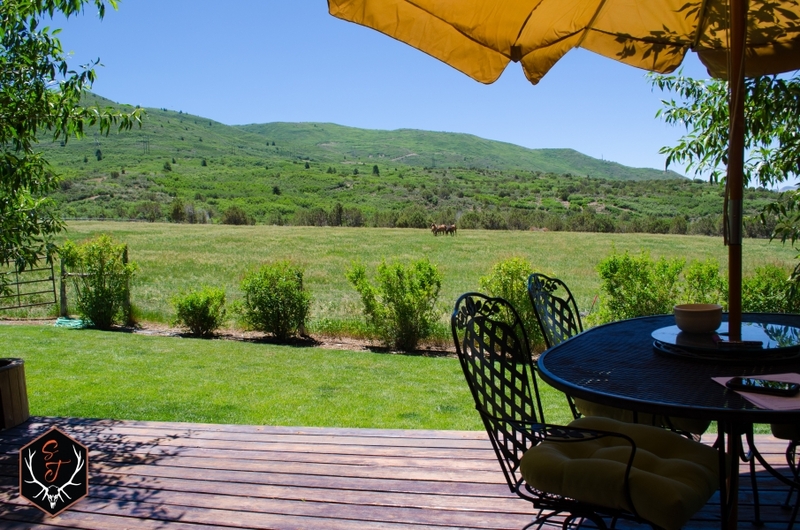 In summary, the Double B Ranch is one of those unique properties that really does have it all. 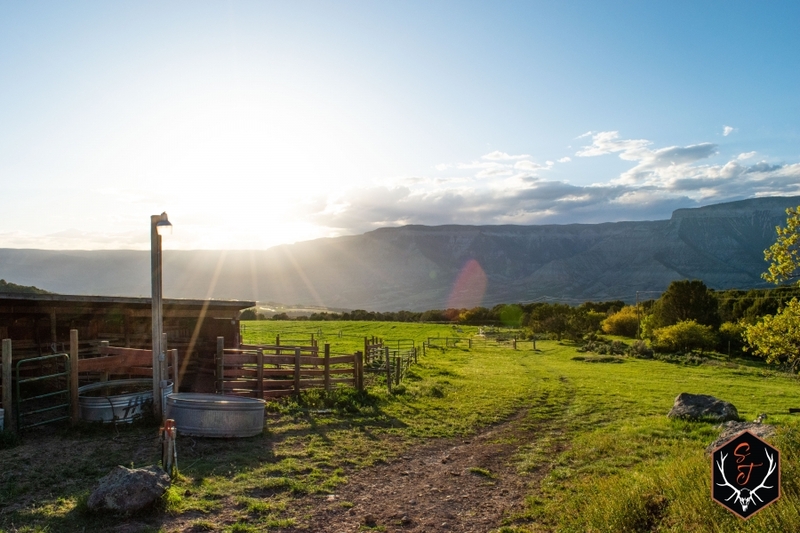 Do yourself a favor and schedule your own private ranch tour with us today, you may just find that slice of heaven you've been searching for!